There are so many romantic destinations in Europe that it is hard to decide where to go. 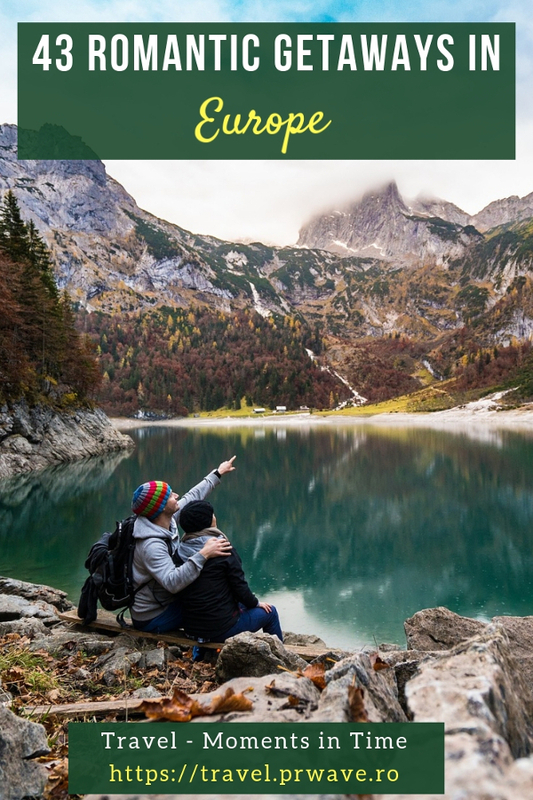 To help you plan your next romantic couple getaway, here are 43 romantic holidays for couples in Europe ideas from travel bloggers. Included in this selection are both famous romantic places in Europe as well as interesting romantic European escapes. No matter what your preferences and your budget are, you’ll definitely find some ideas for your next romantic trip in Europe. These recommendations are perfect for as Valentine’s Day destinations in Europe – but they are also great romantic holidays for couples in Europe all year long! So, whenever you want to take a romantic trip in Europe with your loved one, here are the best options. A big “Thank you” goes to all the bloggers who send their favorite romantic getaway in Europe. Note: the photos included in this article with romantic breaks in Europe belong to the bloggers who sent them – unless mentioned otherwise under the picture for the photo source. 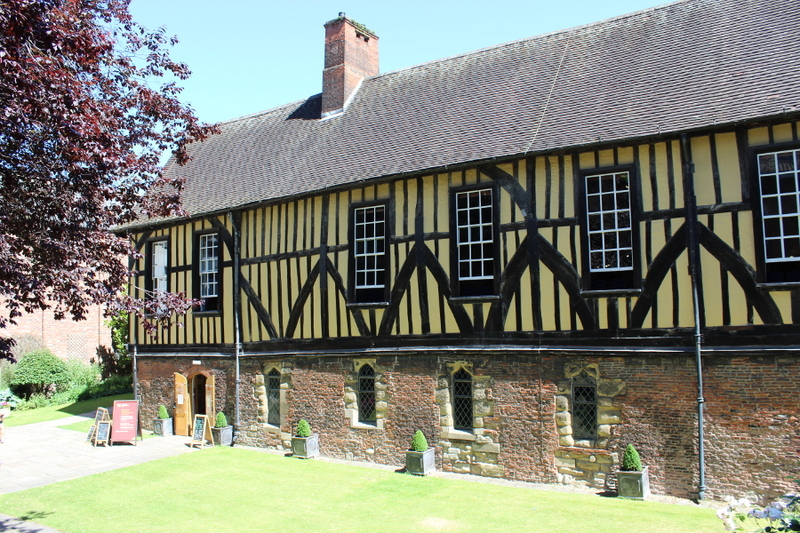 York is a beautiful and historic medieval walled city in the North of England. Standing proud in the very centre of the city is the magnificent York Minster, a Gothic Cathedral built over 250 years, between 1220 and 1472. If you are looking for a spot to propose then the very top of the Minster, with it’s stunning views of the city and surrounding countryside may just be the very place. Make sure you are feeling fit that day as there are 275 steps to the summit! A special way to see York is from one of its two rivers. You can take an evening cruise along the Ouse through the city and see its beautiful bridges and buildings lit up for your pleasure. York has one of the most famous medieval streets in the world, the Shambles. With overhanging timber framed building dating back to 1350, the street is said to be the inspiration for Diagon Alley in Harry Potter. Indeed, there are now three popular Harry Potter shops within the Shambles. While you are in York, be sure to visit the famous Betty’s Tea Rooms, for a Champagne Afternoon Tea. Whisk your loved one back in time to Betty’s elegant 1920’s styled interior and listen to their skilled pianist play while deferential staff bring a whole world of tea-time delicacies to your table. 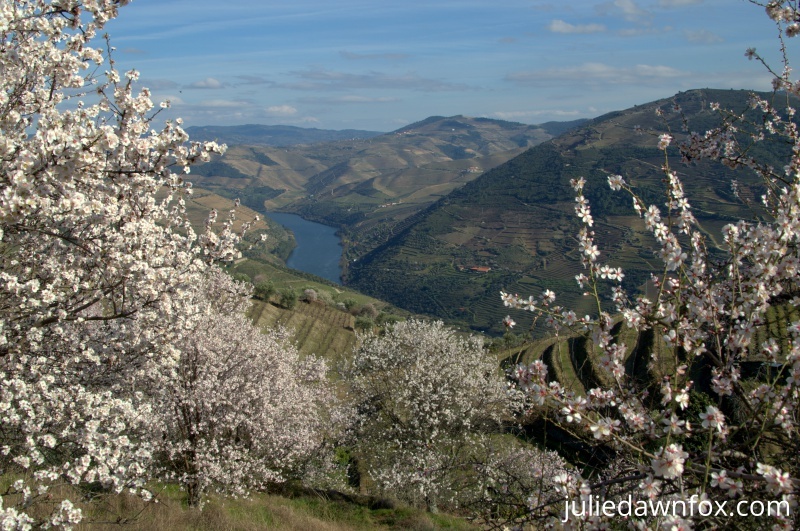 The Douro Valley is the backbone of Portugal’s most picturesque wine regions and offers countless heart-stoppingly beautiful viewpoints, many of which you can have all to yourselves if you’re willing to drive. Surrounded by mile after mile of undulating hills, ribboned with terraced vineyards, the mighty yet calm Douro River is the perfect setting for a romantic sunset sailing trip. Sip on locally produced sparkling wine or the more famous port wine as you relax in each other’s arms and admire the scenery. It’s even possible to arrange to have a private catered meal on board, although there are several excellent restaurants in the area that are ideal for romantic meals. Many of the Douro region’s well-established wine estates now offer boutique accommodations full of history and charm with views to lose yourselves in and countless opportunities for romance. You can also rent private villas with infinity pools for total privacy. Take yourselves off for an intimate picnic amid the grape vines to feast on local produce and wine or pick a secluded spot within the grounds to share a hammock or sunbed. Active couples can enjoy strolls through the vineyards or hikes to hillside villages and hidden valleys. If you have the budget, you could take a helicopter tour of the area. As you can easily see, there are many romantic activities in Duoro Valley, Portugal. I personally find the Danube Delta the most romantic destination in Romania if not in the whole of Europe. Watching colours of sunrise playing on the waters of the Danube with million of pelicans, herons and storks, or sun setting on the Enisala Castle seems so charming and sentimental. It seems like a perfect place to get engaged. The Danube Delta is a 3rd biggest ecosystem in the world after the Great Barrier Reef and the Galapagos Islands, and 1st biggest in Europe. The whole region of Dobrogea is whimsical and fascinating, full of ancient archaeological sites, romantic castle ruins, quaint fishing villages of Lipovans and Danubian Cossacks and sunflower fields for kilometres. The second largest river delta in Europe, after the Volga Delta, is the best preserved on the continent and the UNESCO Heritage Site. If you want to add a little romance to your European vacation, then look no further than the lovely city of Modena, Italy. Located in the Emilia-Romagna region of Northern Italy, Modena has the ability to instantly charm its few visitors. With stunning architecture, grand piazzas, a thriving central market, and some of the best restaurants in the world, Modena is the perfect off-beat romantic destination in Italy. Because of its proximity to the increasingly popular city of Bologna, Modena is becoming a fairly popular day-trip destination. However, in order to truly experience its wonderful romantic charms, we recommend spending at least two nights in the city. Not only is Modena absolutely beautiful, but it is also quite affordable to visit and won’t massively affect your overall Italy trip cost. Home to some of Italy’s most famous gastronomic exports, including balsamic vinegar and Lambrusco wine, there are also a number of interesting things to do in the city. Such things include visiting the Enzo Ferrari museum, climbing the tower of the Modena cathedral, and browsing through the wonderful Mercato Albinelli. 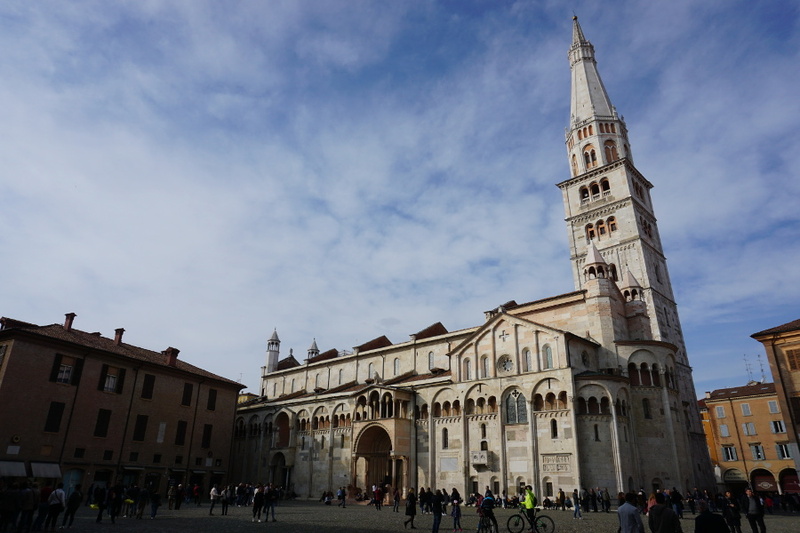 All in all, if you want a romantic escape in Europe with very few tourist crowds, then Modena is an excellent choice! The old capital of Cyclades ticks all the boxes when it comes to romantic vacation. Narrow alleys whose whiteness is interrupted by colorful window shutters and small balconies with glowing bougainvilleas hanging from the railings. Beautiful isolated bays with small villages and golden beaches and amazing restaurants where you can taste impeccable Greek cuisine right next to the water, while watching the sun diving into the Aegean Sea. 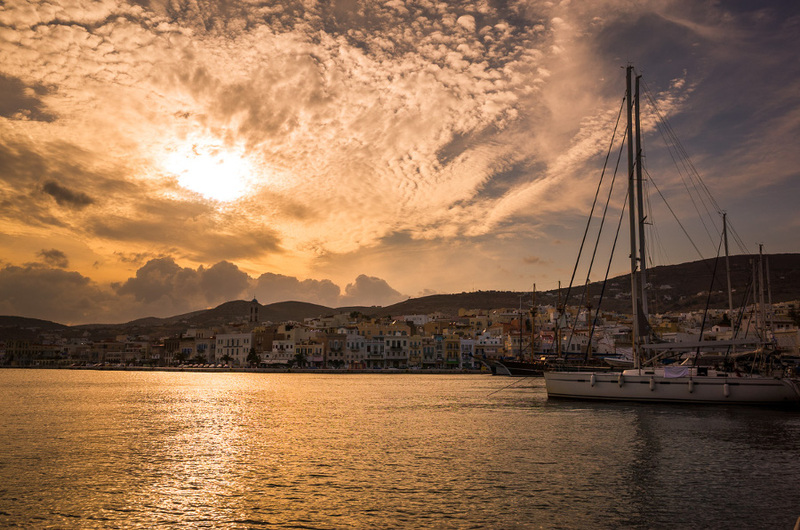 Next to Mykonos and not far from Santorini—Syros has the beauty and atmosphere but not the outrageous price tags. It’s an island for seasoned travelers who can appreciate the quality and genuineness of a “real” place and for couples who seek relaxation, serenity and quality from a destination. With rich history and tradition in arts, it is the only place in Greece where half of the population is catholic. And if there is something that the locals take pride in, that’s the island’s diverse culture and unique traditions. Ermoupolis—the island’s port city is built amphitheatrically on a series of hills. Its small colorful houses protrude like Legos one after the other all the way to the sea. Unlike Santorini they are not all white, but painted in the most amazing pastel colors absorbing most of the sunlight and making the scenic old port look like a canvas. The city is divided into many historical neighborhoods, the most picturesque being of the promenade with many beautiful bars, cafes and of course like all islands, vivid nightlife. One look at a couple of photos of Sao Miguel and you will agree that it is a romantic destination that is ideal for couples who feel like discovering the world together. Sao Miguel is the largest island in the Portuguese archipelago of the Azores. The island is well-known for its volcanic scenery, sandy beaches, rich flora & fauna and stunning & diverse landscapes. With its vibrant, green plains, rolling hills and mountains the island is very aptly also referred to as ‘the Green Island’. Sao Miguel offers plenty of opportunities for you to enjoy some quality time with your partner. You could savour the beauty of the historic monuments & buildings, go hiking along Sao Miguel’s coastlines (through stunning scenery and hidden beaches), indulge in some adventure activities (snorkelling, swimming with dolphins, whale watching) or simply enjoy a romantic stroll along one of Sao Miguel’s many beaches. The island has many vantage points from where you can watch the sun set behind the hills – such a romantic way to end the day. The island is unlike any other destination in the world and is a good vacation choice for romance seekers. 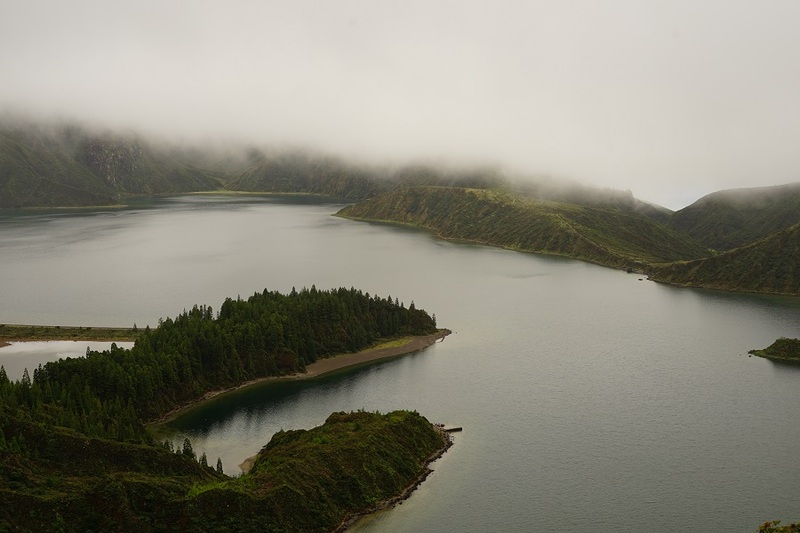 And the best base for your Sao Miguel holiday would either be Ponta Delgada (the capital) or Ribeira Grande (a beautiful municipality in the northern part of the island). Whichever base you choose, it surely will be a holiday that you will never be able to forget! It’s hard to imagine a more romantic spot than the castle that may have inspired Walt Disney himself! Neuschwanstein Castle in southern Germany, with its dramatic backdrop of the Bavarian Alps, is one of the best-known castles in Europe, and is the perfect place for a romantic getaway! 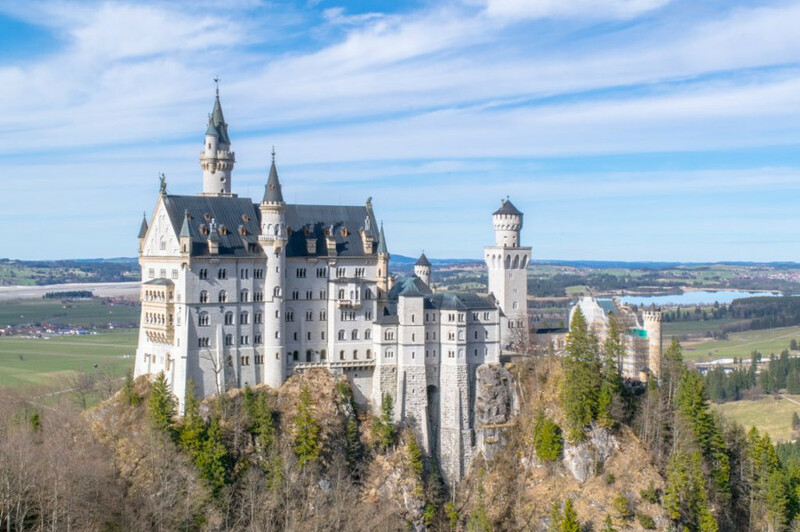 In addition to touring (and taking dozens of photos in front of) the iconic castle itself, you and your beloved can also hike in the beautiful mountains and gorges surrounding the castle, enjoy the nearby, picturesque village of Fussen, and also pay a visit to Hohenschwangau Castle, which is the less-known but more historically significant cousin of Neuschwanstein Castle. If you are your partner are visiting Neuschwanstein Castle in the summer, consider bringing along a picnic to enjoy with an epic view of the castle, and in the winter, enjoy lunch at a cozy restaurant in the village (with perhaps a glass of mulled wine or two). Though you can visit Neuschwanstein Castle as a romantic day trip from Munich, if you are looking for a quiet romantic getaway, a full weekend in Fussen can easily make a cozy escape from the city. Romantic Bruges is a lovely old medieval town in Belgium – and one of the most romantic towns in Europe. Whether you visit on a day trip from nearby Brussels or spend a few days exploring, there are plenty of romantic things to do in Bruges. Spend a day exploring the charming cobblestone streets lined with step-houses or floating through town on a canal cruise. 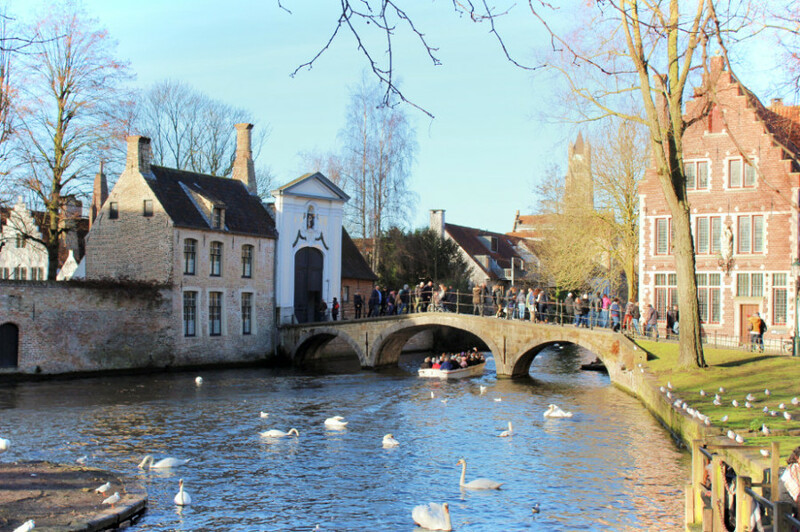 You and your sweetheart can feed the swans at the Lake of Love: it’s said that if you walk over the Lover’s Bridge and kiss your loved one, your love will be eternal, because Bruges is basically a romance novel that writes itself. Follow your eternal swan-feeding with a horse drawn carriage ride through Old Town or cuddle up in an alcove in picturesque Koningin Astridpark. Wind down with a cozy evening sharing a luxurious Belgian hot chocolate “high tea” at The Old Chocolate House, or enjoying a beer by the fire at Half Man Brewery. Although Bruges is beautiful during the summer, there are even more romantic things to do in the winter, like go ice-skating in the old town square at the foot of the towering Belfry and Christmas Markets filled with sticky liege waffles and sizzling hot bratwurst. Just don’t forget to leave room in your suitcases for extra chocolate pralines from the amazing chocolate shops on the Breidelstraat. 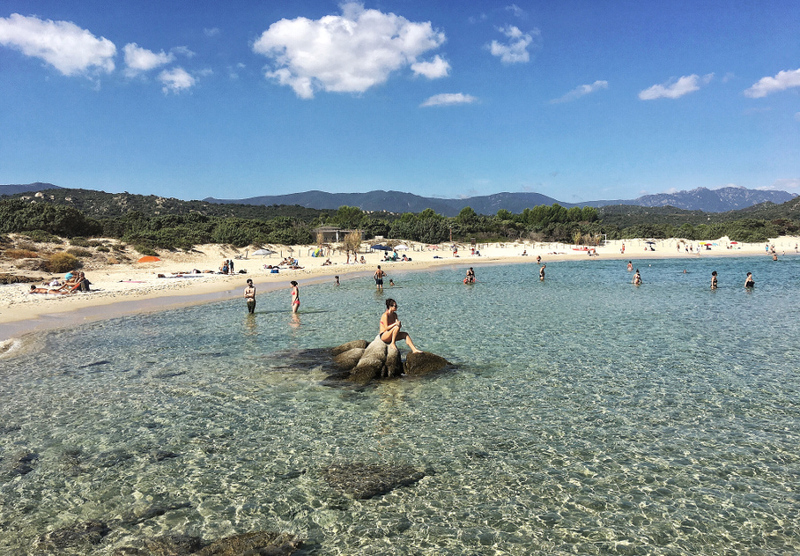 Often overlooked for more famous destinations in Italy, the island of Sardinia is an incredible place to visit that has a lot to offer to any kind of visitors. Adventure seekers and family travelers typically find a good array of activities to choose from. The good news is that there are many things to do in Sardinia for romantic couples. Cagliari, the capital, has many fantastic viewpoints: Café Libarium in Castello is the perfect place to enjoy a drink while admiring sunset; and the area of Calamosca and Sella del Diavolo are perfect for those who enjoy a bit of a walk (there are some very easy hikes) and want to sit down to admire the most gorgeous views of the city and the beaches below. Small cities such as Alghero and quaint villages such as Bosa are perfect to explore. Adding to this, there are some gorgeous beaches (though they can get crowded in the peak summer months). The west coast is perfect for sunsets, while sunrises are best enjoyed on the eastern coast. There are many fantastic restaurants in Sardinia, a few of them facing the sea and some in the countryside. Finally, there are some fantastic accommodations: with a great selection of boutique hotels such as Su Cologone, and luxury resorts such as Forte Village where it is possible to pamper oneself! 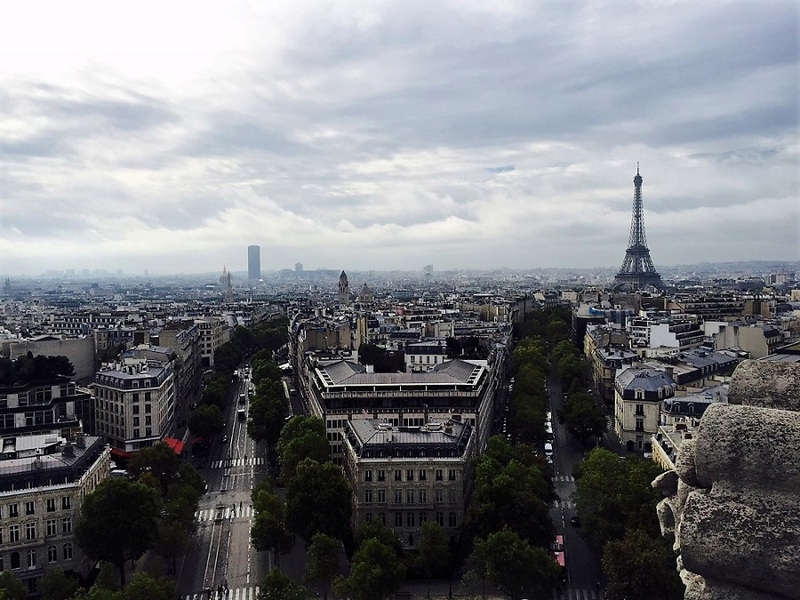 Paris is one of the most romantic cities you can visit. You can feel the love in the air. Everyone is holding hands and no one is in a rush. It’s lovely to walk around and explore the charming streets but there are a few things you must do when you visit Paris with that special someone. The Eiffel Tower is on everyone’s Paris bucket list, but if you want an even more romantic experience how about picnicking and watching the light show. You can stop by a local shop and pick up some bread, cheese, and wine. Then find a spot in the grassy area around the Eiffel Tower and enjoy each other’s company while you wait for the light show. Every evening, the Eiffel Tower sparkles for 5 minutes every hour on the hour. You must also do a cruise on the Seine. Try to aim to take the boat ride around sunset. If you like, you could even do a dinner cruise. From the river, you are able to see some of Paris’s most famous attractions like the Eiffel Tower, Louvre, Musée d’Orsay, Notre Dame, and more. Plus, you have the best views of the city’s gorgeous bridges. Enjoying the natures wonders together is one way to have a romantic time in Europe. For a romantic trip to Doolin, stay at the Ballinalacken Castle House Hotel. The hotel house is situated next to the ruins of the Ballinalacken Castle where you are able to enjoy a tour with the owner. The hotel has a delicious restaurant and if you are dining during sunset, guests are invited outside to view it. 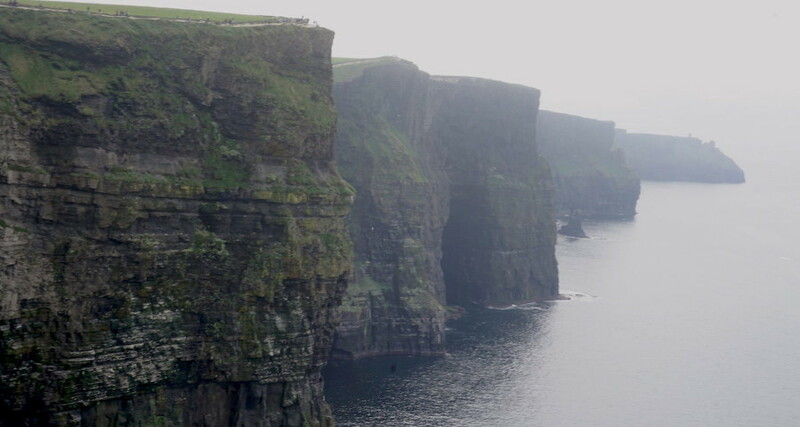 The main attraction in Doolin is the amazing scenery and specifically, the Cliffs of Moher. You can visit the welcome center and walk above the cliffs on the hiking trail or take a boat on the water to see them from below. If you have time, I recommend doing both. If you decide to take the boat you can also visit one of the nearby Aran Islands before seeing the cliffs on your way back. The very tiny town of Doolin is very charming itself. In the evenings after dinner, you can enjoy the town pubs featuring local musicians. While there are plenty of fun things to do, just enjoying the bright green landscape by going for a walk or sitting on the hillside watching the sunset is a wonderful way to enjoy a romantic time in Ireland. When people think of romantic vacation destinations, a visit to one of the best Greek islands is often high on the list, but it can be difficult to decide which one. One of my absolute favorite Greek island destinations, especially for couples, is to explore Crete. 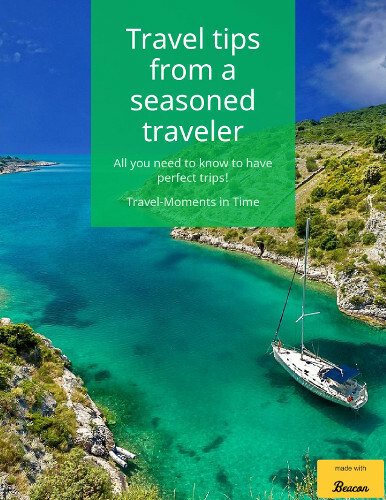 The largest Greek island, you’ll never run out of things to do here, whether you’re wanting to explore the island’s unique cuisine, world-class archaeological sites, and the charming cities. If you base yourself in or near Chania, you can walk hand-in-hand on the Venetian harbor to the lighthouse, take a day trip to remote Seitan Limania beach, and enjoy wandering the city’s charming streets. For an extra dash of romance, you can rent a private villa outside of the city or staying in one of the many luxury resort hotels nearby. 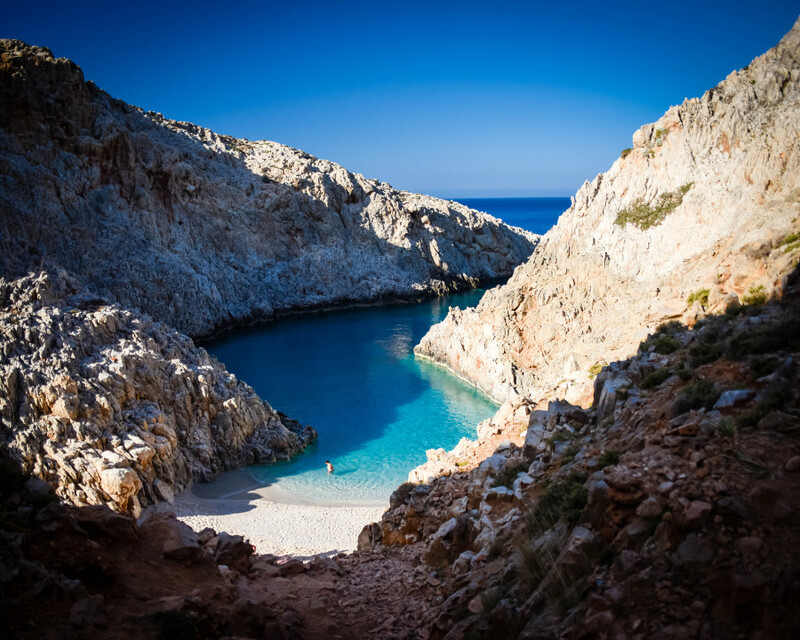 Another great option for couples is to rent a car and go on a road trip around the island, exploring the island’s many gorgeous beaches and spending time in the cities of Rethymnon, Plakias, Matala, and Heraklion. You can also take a cruise for a day or two out to Santorini from Crete, another romantic island, allowing you to pair two of Greece’s best islands in one trip. Dinant town is located in Belgium. As it’s only a few hours away from the French border, Dinantfro is very different from both France and Belgium, in terms of landscape and architecture. Dinant is quiet, laidback, tranquil and perfect for those romantic getaways away from the hustle-bustle of city life. River Meuse runs through the little town, making it as picturesque as ever. There are numerous resorts and restaurants by the river side, accompanied by stunning mountain views that makes it one of the most romantic sites in Europe, yet unknown. Dinant is perfect for romantic strolls across the bridge, overlooking the river Meuse. You can also take a cruise over the river and watch the sun go down. 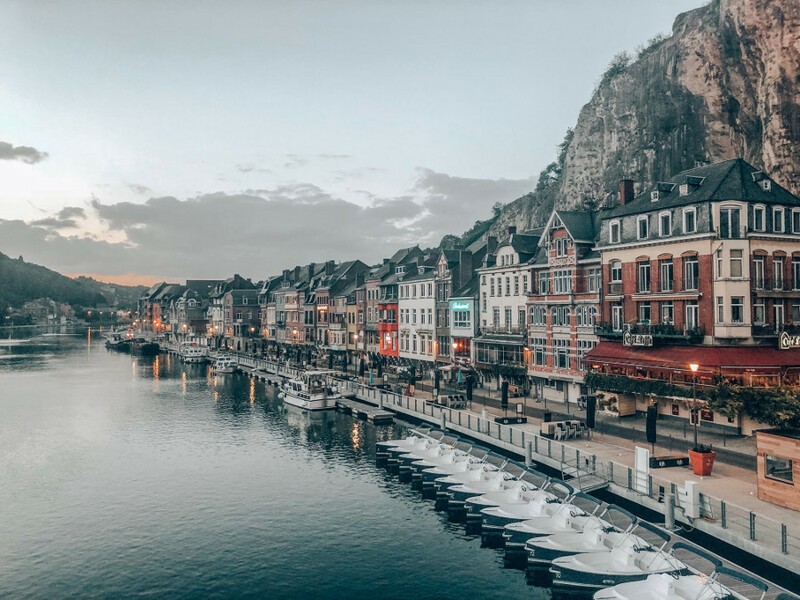 Dinant’s history is linked to the first world war and is popular as the birthplace of the founder of Saxophone, Adolphe Sax. Dinant is located in the Namur province of Belgium. You can easily train the B trains to reach Dinant from Brussels and other cities of Belgium. It is an hours drive from Brussels. Dinant is on the way to Luxembourg city, so definitely deserves a stop. As it is a small town, you can cover the entire city on foot. 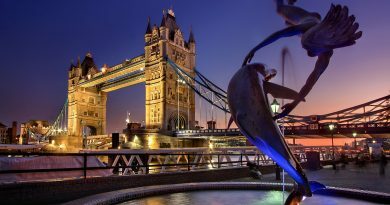 If you are looking for the world’s most romantic city to be there is only one city that can claim the crown – London! London has something for ever type of romantic! It is a city filled with some of the most varied and best cuisine with heaps of Michelin starred restaurants that to be are the perfect romantic date! Or for something traditionally British why not spoil yourself with a British afternoon tea at one of London’s many luxury hotels! It is also the perfect city for strolling and to be there is nothing more romantic than strolling around a city after dinner seeing the twinkling lights! Some of my favourite places to walk are along the river Thames and also through the entertainment filled Covent Garden piazza! 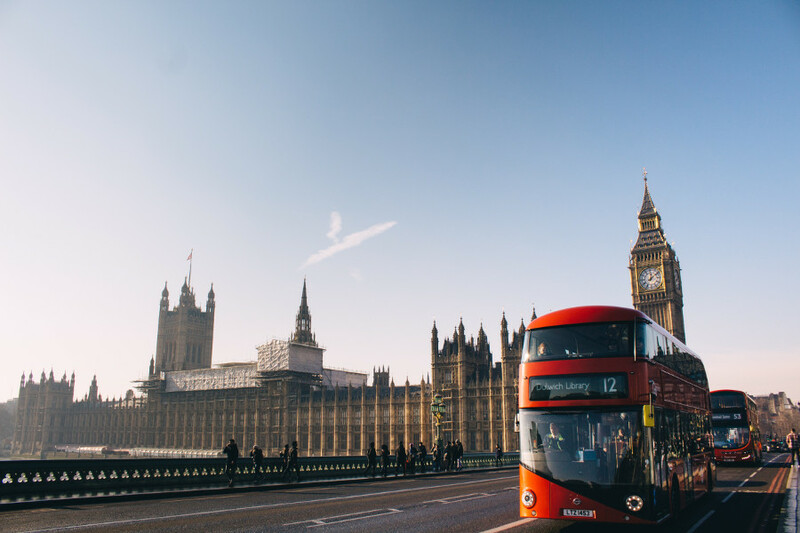 For those that love a more activity based romantic activity then London has some of the world’s best theatre from the longest running show the mousetrap, to musicals to Shakespeare’s globe theatre! And for those that like adrenaline why not take a speed boat down the Thames or walk the top of the o2 for a really memorable date! Really no matter what type of date you are looking for London will have it! Italy is known as one of the most romantic countries in the world. The wine, the food, the language – everything screams romance, right? If you’re looking for a charming small city for your romantic couples trip then Lucca should be your choice. The medieval city in Tuscany is surrounded by a city wall, which is a popular place to stroll along in the evening, sit down on one of the benches and enjoy the Tuscan flair of the city. 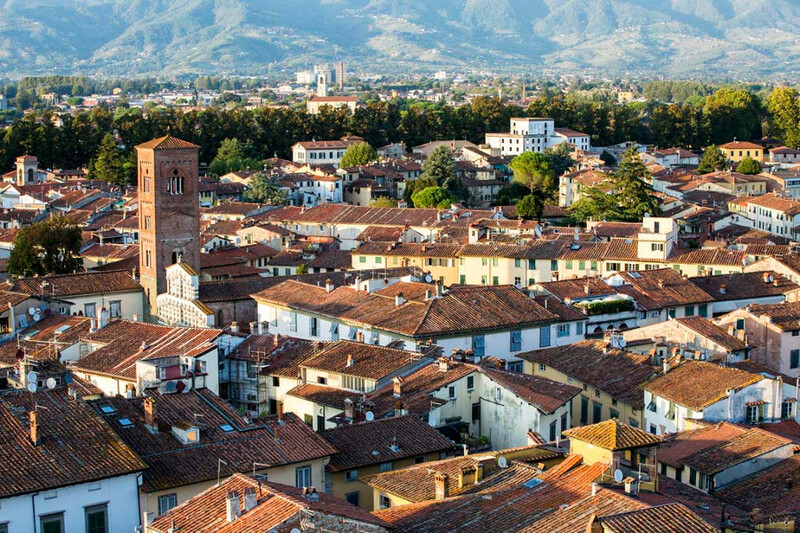 Lucca’s city center cannot be entered by car which makes it a perfect town to explore the picturesque alley with its little stores and boutiques, wine and olive oil tasting bars. Torre Giunigi is one of the towers in Lucca you can climb and have a stunning view of the city and the Tuscan surrounding. Be there before sunset and breath in the atmosphere with your loved one. After that, it’s time for an aperitif. Do you know about the Italian Aperitivo culture? Italians meet for a drink before dinner. The Aperitivo places serve your drink together with some little snacks – a perfect start for a lovely night out. The Piazza dell’ Anfiteatro is one of the busiest spots in Lucca. Filled with restaurants and pizzerias this piazza is not only a place for tourists to have dinner but you will also find locals there. Find a seat, order delicious Italian food, wine and soak up the lively Italian dolce vita. After we returned from our 4-month trip to Europe, we were trying to classify the cities we visited in terms of how we remembered them. Budapest, took the number one spot when it came to be the most romantic city. We immediately fell in love with it through which flows the famous Danube river. Fisherman’s Bastion offers grand views of Danube, the Parliament building and the city of Pest. 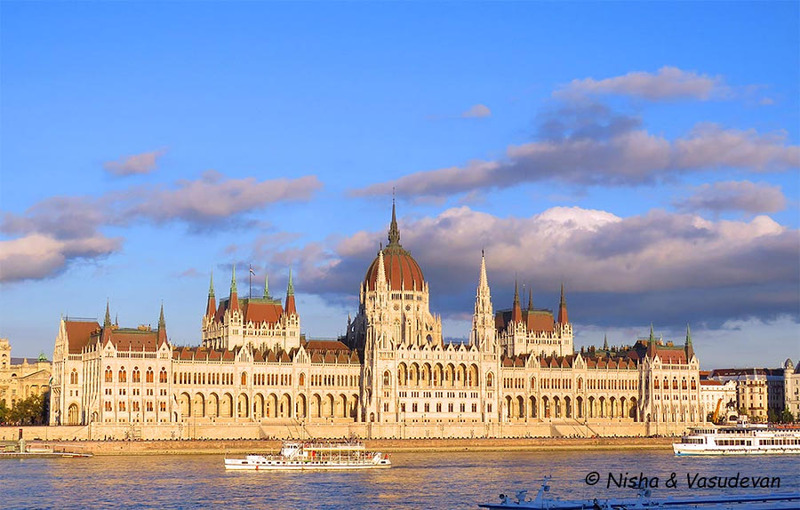 Watching the parliament building as it catches the golden rays of the setting sun sunset and then having a dinner overlooking the blue Danube is the most romantic thing. An orchestra dinner concert inside the Mathias Church, Fisherman’s Bastion by Hungarian Virtuosi Chamber Orchestra is another romantic affair. One can always find nice corners to enjoy the bliss of getting embraced by the warm mineral water at one of the hundreds of thermal baths in Budapest. Just sitting outside, feeling the cool breeze playing with your hair and the cities of Buda and Pest on either sides, pass by is quite a mesmerizing experience on an evening cruise on Danube. Let your hair down at one of the many ruins bars. The ruin bars are not on the riverside though. They are called ruins bars because decrepit buildings are converted into a bar. All of them have a relaxed atmosphere, nice music, sometime too loud though. You could also do a pub-crawl of several such bars. Florence has to be the most romantic destination in Europe. Sitting at the Piazzale Michelangelo or the beautiful nearby San Miniato al Monte church, watching the sun set bathing the entire city in a golden glow is just about the most romantic thing I’ve ever done. After sunset, head back down the hill for a romantic dinner of pasta and a glass of wine at a tiny outdoor café. 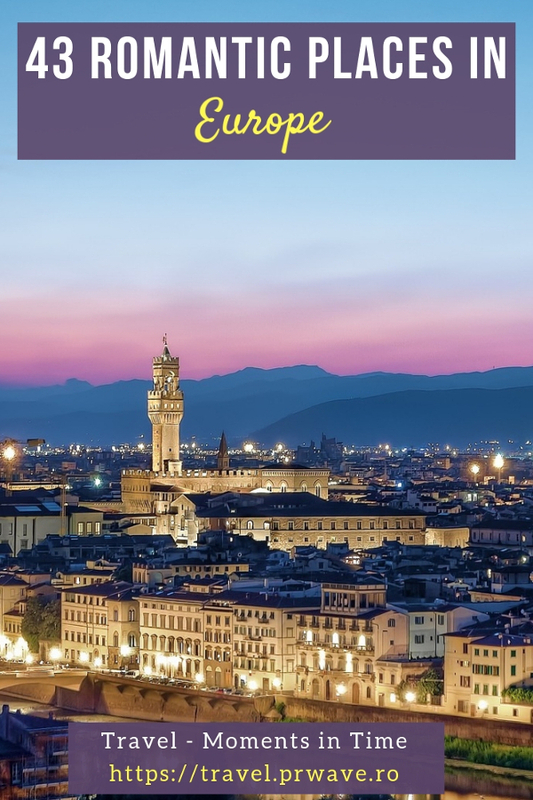 Start the next morning with an espresso and wander around the Piazza della Signoria, a beautiful plaza dotted with statues, including a life-sized replica of David. Sit together in the adjacent Loggia dei Lanzi admiring the nearby Palazzo Vecchio (Old Palace) and the surrounding art and architecture. Visit the main cathedral El Duomo, a fantasy of pink, green and white marble, early to avoid the crowds. Climb to the top of the dome, or the neighboring Campanile (bell tower) for dramatic views over the city. Enjoy a gelato together as you wander down to the Arno River, over the Ponte Vecchio (Old Bridge) or around the many plazas in town. Don’t miss the Uffizi Gallery and its jaw-dropping art collection, including Botticelli’s Birth of Venus. 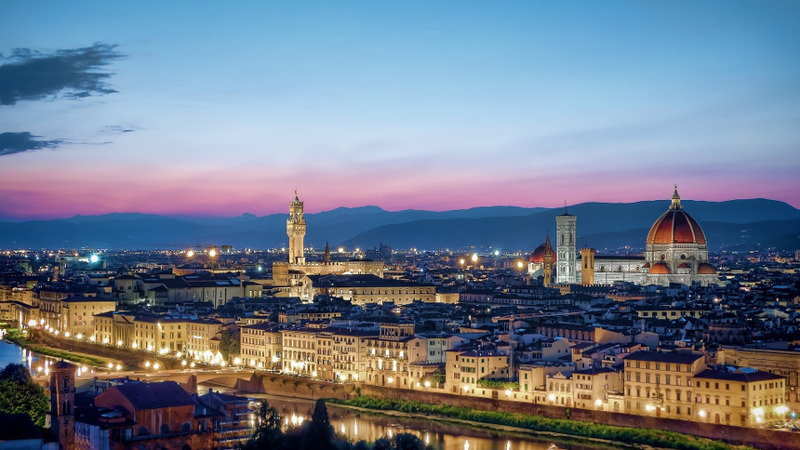 The beauty of the city, the wonderful views, the wine, the food … there is just so much in Florence that makes every moment a romantic cliché. One of the most romantic vacation destinations in Europe must surely be the Austrian city of Salzburg. The city was the setting for the famous movie “The Sound of Music”, and who can forget the romantic ending of that story?! Even if you’re not a fan of the movie, Salzburg is the perfect destination to share romantic moments with your loved one. 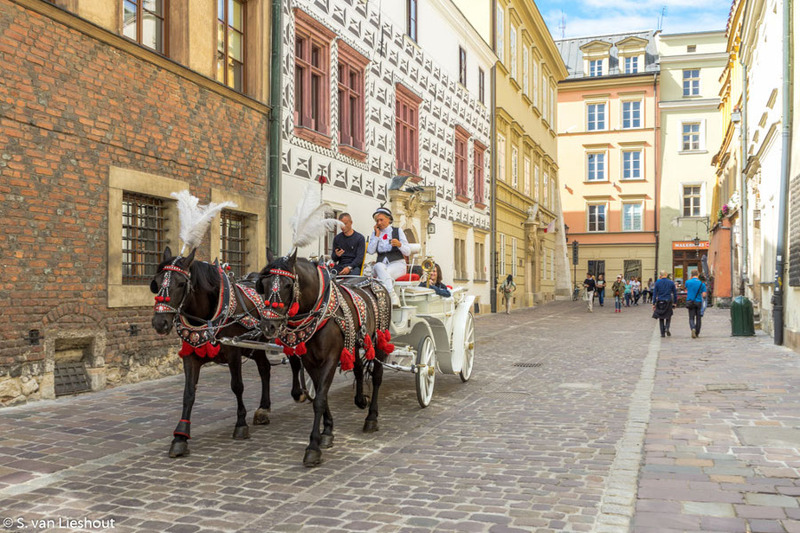 A favorite pastime of romantics is sharing a horse and carriage ride around the beautiful Old Town with its narrow alleys and cobbled streets. The Old Town provides plenty of opportunities to stroll hand in hand with your loved one. Getreidegasse and Linzer Gasse, two of Salzburg’s most popular shopping streets, are adorned with charming wrought iron signs and beautifully presented window displays. Their quaint charm is hard to resist and this is the perfect place to purchase a memento of your romantic getaway in Salzburg. 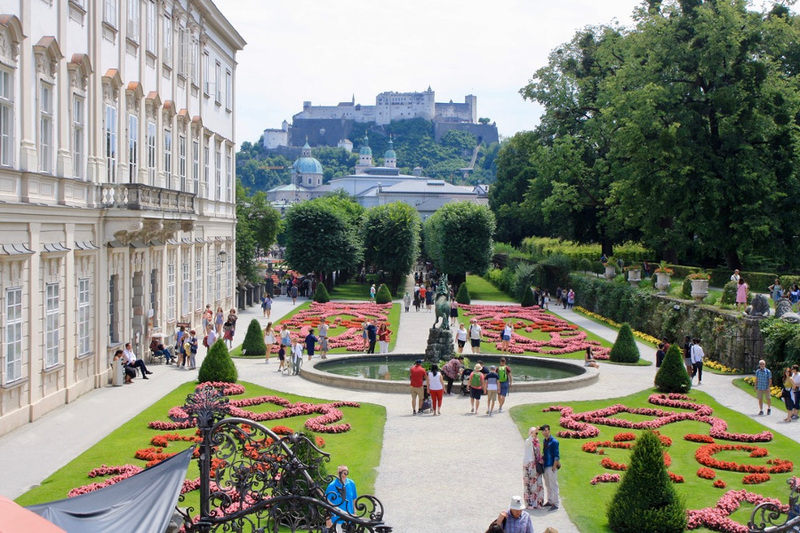 Salzburg provides stunning views from every angle but there’s none better than from the gardens of Mirabell Palace. Standing on the steps in front of Rose Hill, and looking back towards the Old Town with the imposing fortress above, you’ll be hard pressed not to fall in love with the city – and even more in love with your partner. There are plenty of restaurants in Salzburg to enjoy a romantic dinner but it doesn’t get much better than dining on the terrace at Hotel Sacher’s Dome Restaurant. With exquisite cuisine, wonderful views, and the company of your loved one, it’s the perfect way to end a romantic day in Salzburg. Maastricht is a beautiful medieval city in the Southern part of The Netherlands. It’s quaint, dates back to the Roman Empire and has great food. Maastricht is one of the cities that is located in the province of Limburg. This region is within The Netherlands well known for its Burgundian lifestyle and food. You can walk through the endless streets, discover the best restaurants and walk along the Meuse river. There are endless things that you can do in Maastricht, so it’s easy to spend a full day or even a romantic weekend in Maastricht. From baking a heavenly ‘vlaai’ together to enjoying the local dish ‘zuurvleis’. And from going through the most wonderful museums to discovering the city of Maastricht by foot. The one magical street after the other appears and before you know it, you’ve been walking for hours. Go to one of the many cute cafes and restaurants that you can find in Maastricht, especially on a sunny day. Order some great food and ask if you can take it with you for a romantic picnic along the Meuse river or in one of the parks. 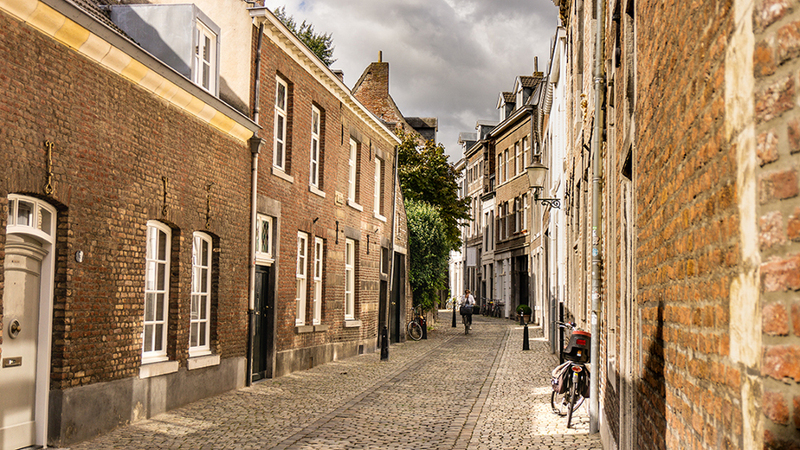 There are plenty of things to see and do in Maastricht. Veel plezier in Maastricht (Have fun in Maastricht). Barcelona is one of the most romantic cities in the world. And I am not only saying that because I met my fiancé on my first trip to Barcelona but rather because there are so many options to spend a romantic getaway in the Catalan capital. Just get lost together in the old and narrow streets of the Barrio Gótico and enjoy the Opera singers at the Cathedral. Stop by one of the cute little restaurants that you can find all over the town and share a Paella or tapas with one of the delicious tintos (red wines) or cavas that Catalonia has to offer. Make sure to visit the beach and spend a romantic day in the sun. At nighttime, you can sip some cocktails in one of many rooftop cocktail bars while enjoying the views over the city or the sea. Talking about views, another of the romantic things to do in Barcelona is a visit to Parc Güell. 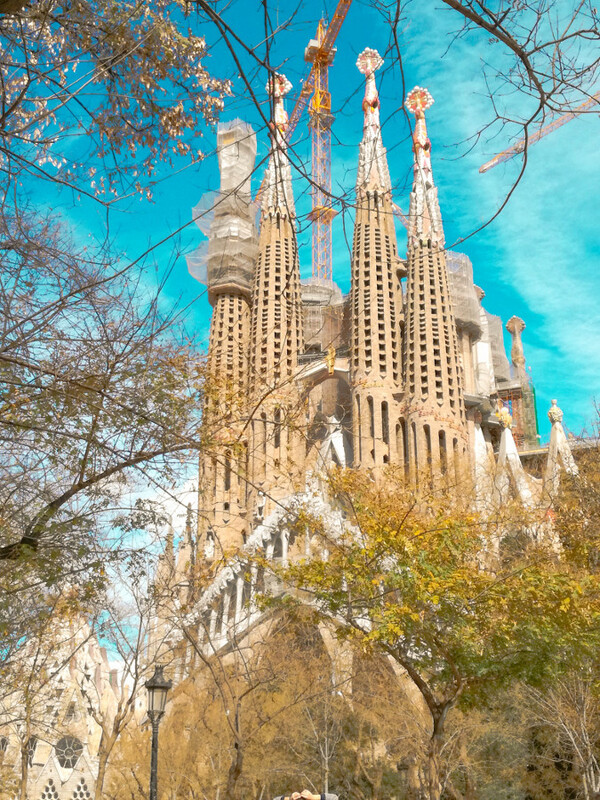 Here, you don’t only have an amazing view over the town from above but also can have a look at some of the gorgeous creations of Antonio Gaudí, the arguably most important designer of Barcelona. Barcelona is simply an amazing place for couples. Just get lost in the city and you will find romantic places at every corner. Not many consider Lviv, Ukraine as an interesting European getaway, not to mention a romantic destination but the city is actually a perfect place for lovers. The city looks like the time has stopped there, it’s straight from a fairy tale. 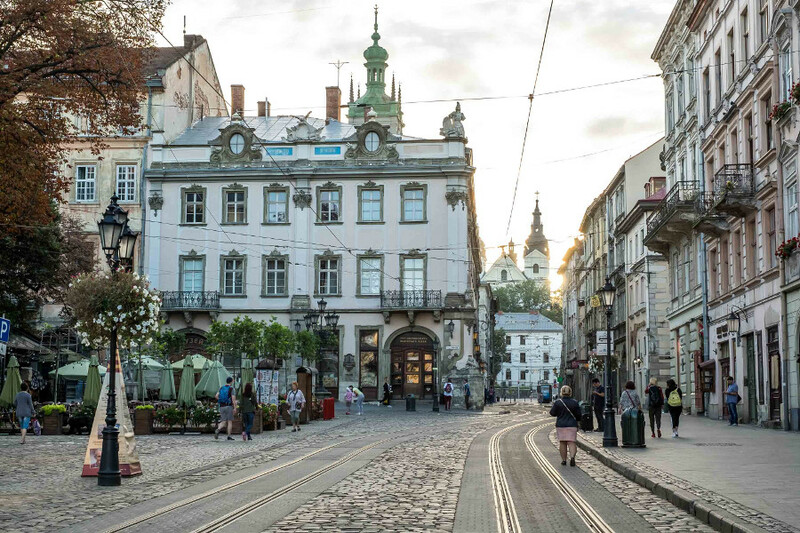 Cobbled and winding lanes, old pastel houses and lovely parks – you will find it all in Lviv. Wandering and getting lost in the city is a pure pleasure. Lviv is also known for its exceptional cafe culture and the number of cafes per capita is the biggest in the world. You can spend hours just hanging around in charming cafes, staring into each other’s eyes over the cup of delicious coffee. If you feel like having a romantic evening out in the opera Lviv is a perfect place to do that. Not only the interior of the opera is stunning and the quality of performances is really good but also going out won’t drain your wallet. That’s actually one of the best things about Lviv – just about everything in the city is very affordable, I don’t know any other place where you pay so little for such a good standard. When planning your next romantic getaway in Europe you should consider Lviv – you won’t be disappointed! Vienna in Austria is an ideal romantic destination, a majestic city with plenty of cultural events, impressive imperial buildings, and cozy coffee houses. It’s a city that celebrates romance. 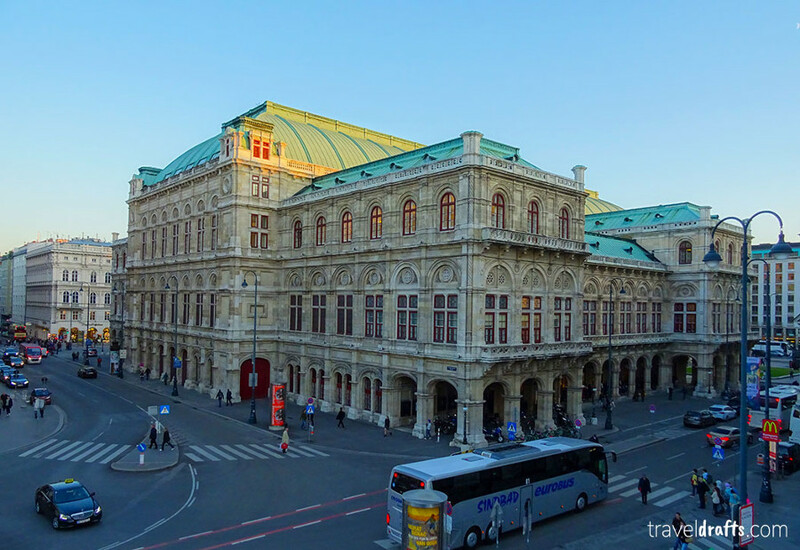 Although there is so much to do, your top priorities should be Vienna’s famous State Opera, the concert hall is magnificent, and what an experience it is to assist a live concert. It should be on top of your bucket list, if can afford it. The Schonbrunn Palace is also a must, it is full of enchanting gardens and one of Europe’s most impressive baroque palaces. You will easily spend a day appreciating the former summer residence of the imperial family, the opulent salons and chambers where the Habsburgs lived, including princess Sissi. Another highlight of the city is the unique baroque Spanish Riding School with its famous Lipizzaner horses. The best part of the visit is to attend a performance of these magnificenthorses. But don’t stop there, the city is packed with stunning buildings, including the gothic Stephansdom ( St. Stephen’s Cathedral), the Hofburg (imperial palace) and the imperial Butterfly house. Don’t forget to visit one or two international acclaimed museums of Vienna like the Museum of Fine Arts and the Belvedere Palace (Austrian Gallery). At the end of the day drink a well deserved Viennese coffee and a Sachertorte in one of the city’s beautiful coffee houses. You will be amazed by this European Capital, at least we were. My favorite place to spend romantic holidays in Europe is definitely the island of Tenerife. It is one of the 7 Canary Islands belonging to Spain. The archipelago is also known as the “fortunate islands”. It is not very hard to see why. The island boasts a mountainous, humid landscape in the north and a dry, sunny climate in the south. The south of the island has some of the best beaches in Europe. There seems to be a beach for everyone: the party beach in Fañabe, Playa del Duque, the more laid back ones in the western part of the island known as Los Gigantes or the rocky coastline of the north. Tenerife is perfect for a romantic vacation in Europe as you can spend endless days on the beaches and afterwards indulge on Canarian food which is inspired by the Caribbean and Spanish gastronomy. The options to enjoy gastronomic experiences in Tenerife are endless! Besides the beaches, you’ll be spoilt for hiking options and leisure activities. 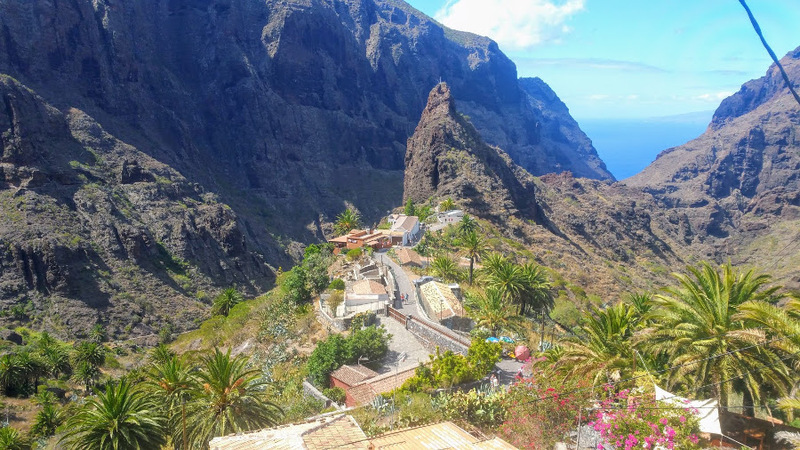 Masca is the most spectacular trail on the island and it will lead you through some of the highest canyons in Europe. In case you want to have a shopping afternoon with your beloved one, you will love the capital of the island, Santa Cruz. You’ll not only find many international brands but also several intriguing, local designers. However the most romantic experience in Tenerife remains the sunset above the Atlantic Ocean. 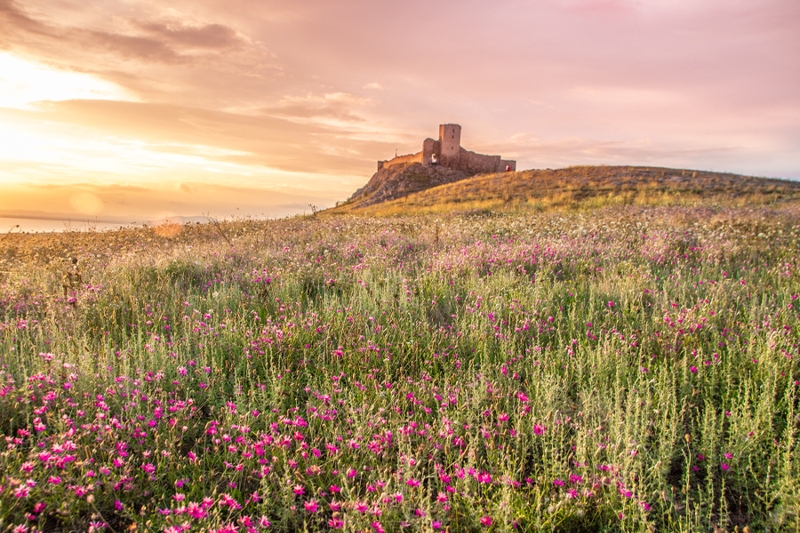 Medieval villages dot the countryside as lavender fields and sunflowers lead toward the horizon. This region of France is like stepping into a romantic movie, it’s dreamy, blessed with almost year-round sunshine and boasts some of the most beautiful boutique hotels in the world. Enjoy a long breakfast before road tripping to explore antique markets, go hiking or soak up the sun on the shores of the Mediterranean. The Provence region extends from Marseille at the sea to Avignon on banks of the Rhône River in the north. 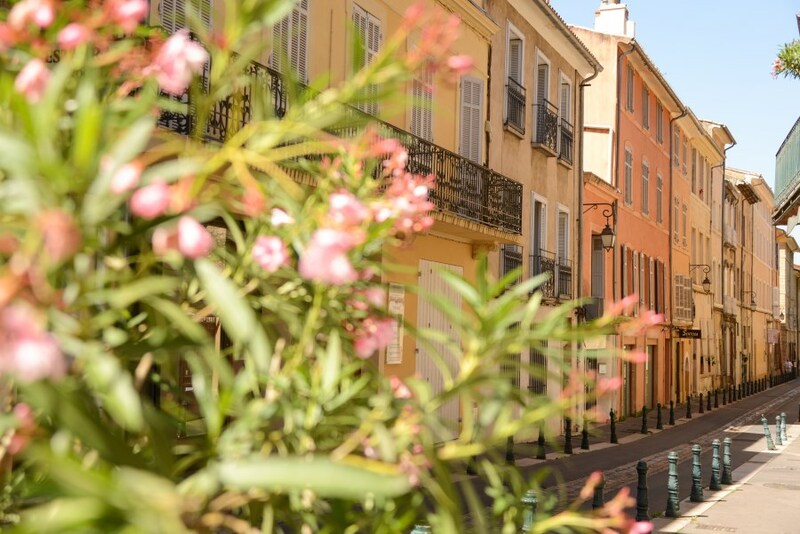 A great central base can be found in the historic town of Aix-en-Provence where vibrant alleys exude an air of amour and you’ll find a charming atmosphere evident from the Cours Mirabeau to Hotel de Ville. Facades line the streets coloured all shades from rouge to blue with Aix demanding at least a full weekend of your attention to wander aimlessly and stop for a bite to eat at one of the many cafes perched to provide the perfect people-watching position. From the calanques on the coast from Cassis and La Ciotat to the hillside villages of the Luberon, Provence provides a seemingly endless amount of destinations to visit, with castles, waterfalls, museums and outdoor cafes just some of the many attractions on offer. The pretty and polished Lourmarin, complete with a chateaux and vineyards is a must-see, as is the rustic beauty of Roussillon, known for its stunning red cliffs and ochre landscape and striking bold tones throughout the village. 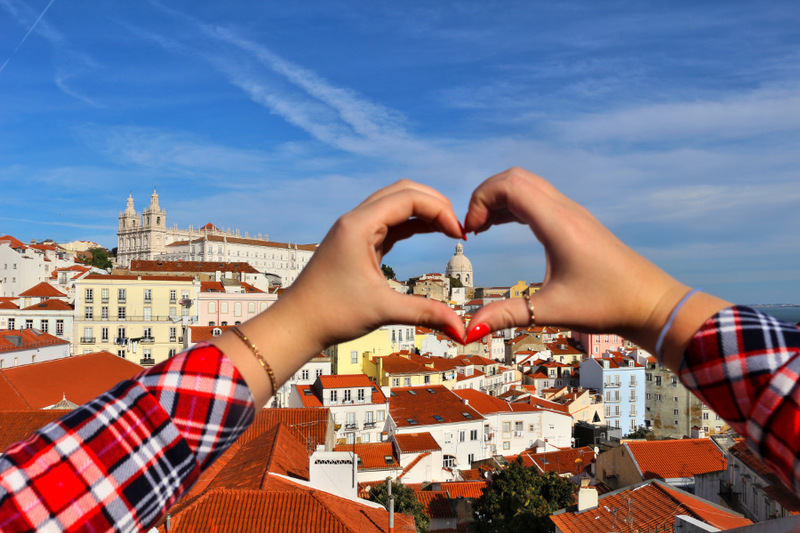 Lisbon is one of the most romantic destinations in Europe. It combines picturesque landscapes, rich cultural heritage, and sensational gastronomy which makes it a perfect place to go for the couples. The coastal city of Lisbon has breathtaking scenery with its blue waters crashing on to its rugged terrain and fine beaches. There’s nothing more romantic than to indulge on the stunning views under the warm sun. Because of its location on the south of Portugal, it is almost always sunny there. Visit the many miraduoros or viewpoints in Lisbon and relish on the beautiful sunsets over the city. Another way to enjoy Lisbon is to walk on its paved streets lined with centuries-old architecture that reveal its rich past along the Tagus River. Better yet, take the Caravel on Wheels which drives through the Old Town to learn more about the history of Lisbon. Modern boutiques and shops are interspersed among old buildings and the friendly people make the city lively and alluring at the same time. Of course, a romantic getaway will not be complete without a great gastronomic experience. Head to the oldest part of Lisbon called Alfama for a fine traditional Portuguese dinner while listening to the soulful music of fado. Portuguese specialties mostly revolve around fresh seafoods. Pair it with a glass of wine for a perfect dinner with your partner. The white marble stone arch spans across turquoise Neretva River, with a view to a pastel-colored Stari Grad, Mostar’s old town. The Old Bridge has been the heart of Mostar for more than 450 years. It’s where lovers gather at sunset, kids chase each other, and tourists take pictures of bridge jumping locals. 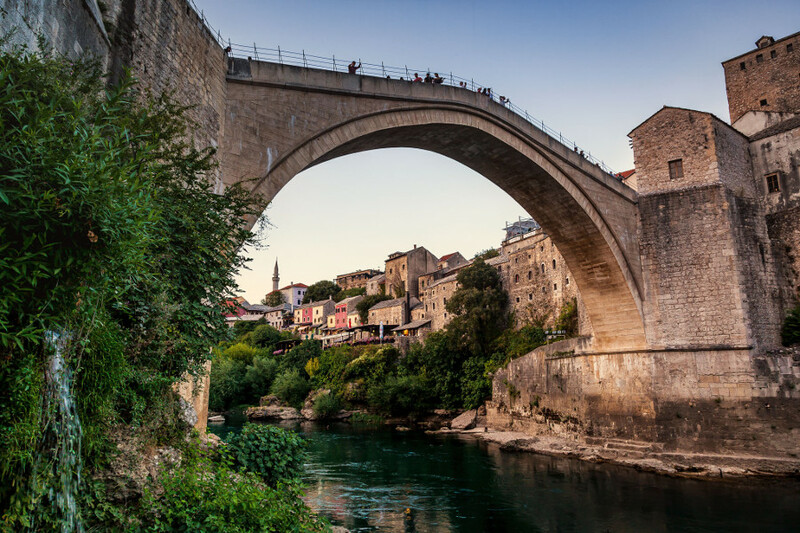 During the day, stroll through the cobbled stone streets of Mostar, popping in the oriental bazaar and stopping by the world-famous Mostar bridge to enjoy the best gelato in Bosnia. When the sun starts to sink behind the silhouette of Stari Grad descend through the shops and cafés to the viewing platform at the western bank of Neretva. From there, you can witness how the Old Bridge turns golden, and Stari Grad’s Ottoman houses are lit up. Evenings in Mostar are made for romantic strolls, so walk by the bazaar until you reach the Crooked Bridge. This barely 8-meters long stone arch is just 5-minutes away from the Old Bridge, yet it’s usually a much more peaceful place to idle the evening away. Dine al-fresco in one of the restaurants surrounding the Crooked Bridge before climbing back to the Old Bridge after dark. During the night, the Old Bridge is free of day-tripping tourist herds, so you can enjoy its magic all by yourself. It might be because I live here and because I love exploring it any time of the day and any season, but to me, Rome is one of the most romantic cities in Europe. And for many reasons. Wherever you go in Rome, you are likely to stare at a breathtaking view. From the terrace of the Hadrian Mausoleum, from the Vittoriano complex, from the Aventine Hill, Villa Borghese Pincio terrace. 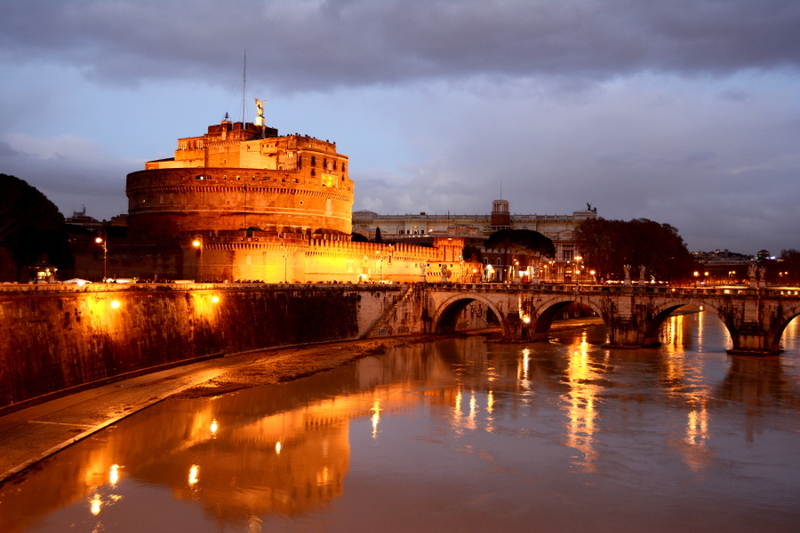 Even only crossing the river, you will have views of the Hadrian Mausoleum, the Tiberina island and also St. Peter’s dome. The bridges in the city centre in the night offer truly romantic views, great to round off a perfect date. With so much history and landmarks, it’s not really difficult in Rome to find beauty around every corner. There are also many experiences travellers can have in Rome to revive their passion. How about a candle-lit dinner in one of the city’s charming restaurants? Both traditional and more modern restaurants offer a lovely ambience where you can relax and enjoy a delicious dinner. Also a stroll around one of Rome’s parks is very romantic. Urban parks in Rome are former villas of noble families, so they always have statues, lakes, and beautiful decorations and walking paths. Norway’s second largest city oozes romance with its steep cobblestone streets, colorful timber houses and hidden restaurants. Surrounded by mountains and sea, Bergen beckons you to wander slowly and indulge in visionary Scandinavian cuisine, before starting a road trip into the heart of the fjords. The best way to begin your romantic holiday is to take the scenic train from Oslo. Or even better, consider building in a full day to travel to Bergen via Norway in a Nutshell transit package. 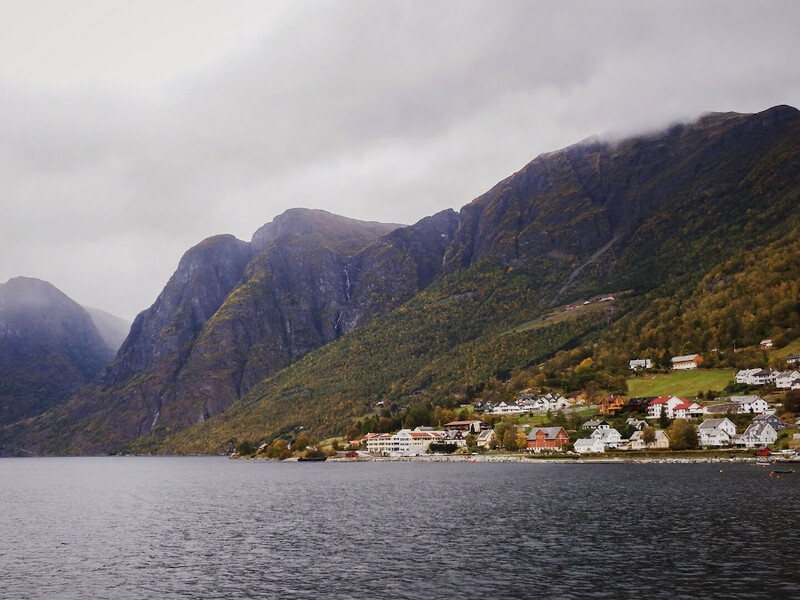 If you opt for Norway in a Nutshell, you’ll ride on the historical Flam Railway and cruise a spellbinding fjord as part of your journey to Bergen. And believe me, there’s nothing more romantic than a gorgeous train ride, or fjord cruise, with the person you love. After arriving and checking into your accommodation, head to Spisekroken for an intimate dinner (reservation recommended). Each dish is crafted to perfection. In the Middle Ages, Bergen served as an important seaport and a member of the Hanseatic League. To glimpse into Bergen’s historical past, head to Bryggen wharf (UNESCO World Heritage Site) to see the well-preserved wooden warehouses. Tucked in between these buildings, you’ll find adorable shops and cafés. Save your appetite for Bastant Stølegaten, a café serving delicious homemade soups. If you’re drawn to the South of France or the Amalfi Coast, you may want to consider a more under the radar alternative: Costa Brava. This region lies adjacent to the Mediterranean shoreline in the Catalunya region of Spain, running north from Barcelona to the French border. 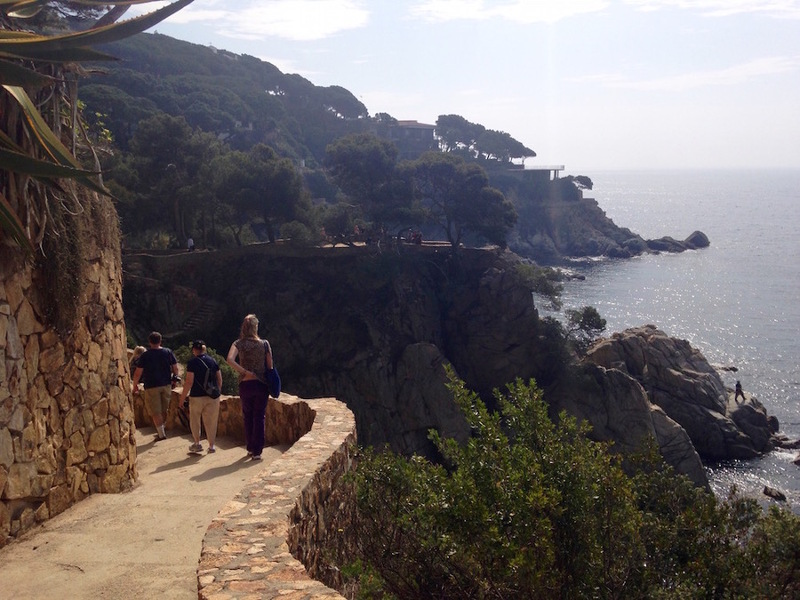 Characterized by a rugged, rocky coastline as well as cities and fishing villages dating back to the Middle Ages, Costa Brava has historically inspired celebrity artists and actors to visit and make their homes amid its breathtaking beauty. Costa Brava’s outstanding cuisine will tempt you, and its luxurious vacation options ranging from small boutique hotels to stylish resorts provide a romantic respite from worldly cares. Charming little bistros and intimate restaurants will invite you to linger over tapas and wine. Bike between medieval villages and towns, or amble along the stunning coastal Cami de Ronda, a 43km stretch between San Feliu de Guixols to Begur, with other communities in between. Nightlife ranges from big and flashy (think casinos in Lloret de Mar) to peacefully quiet (think a private B&B in a medieval farmhouse). For rich culture, amazing scenery, great food and drink, and friendly hospitality at reasonable prices, a romantic vacation in Costa Brava should be on your list. Two and half hours northwest of Munich, Germany you will find one of the stops on Germany’s Romantic Road. 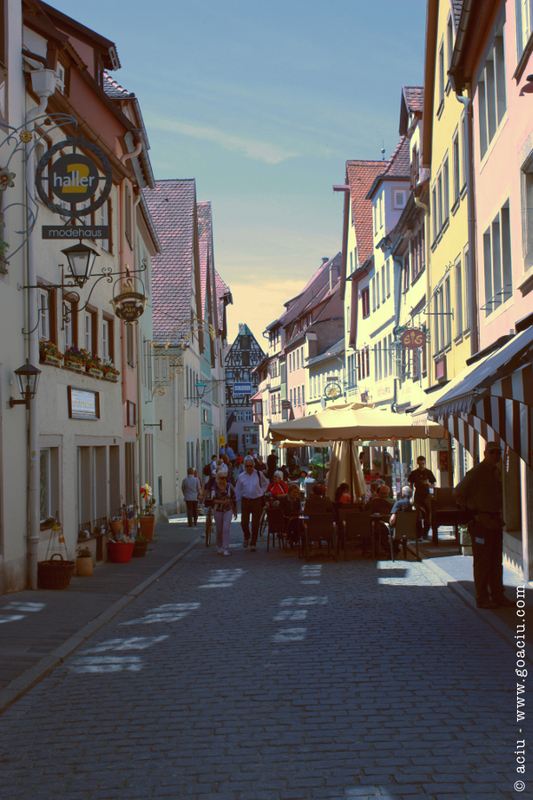 Rothenburg ob der Tauber is one of the three medieval walled cities on the Romantic Road. This town dates back to the 10 th century and has a beautiful collection of Fachwerk houses. You know, those classic wooden framed houses we all go to see. One of the best ways to see the Romantic Road is by driving. But when you get to Rothenburg ob der Tauber, you won’t need a car. This walled town is almost exclusively closed to vehicular traffic. This adds to its charm and gives you a great feel as to what it would have been like to live here 800 years ago during the Renaissance. You’ll want to explore all the unique gates that lead into the city, and walk on the wall that once protected it. In the centre is the town square. Here you can take a break with coffee and pastries, watching people go by. Exploring its quaint shops, cafes and restaurants will make you never want to leave. Head to top of the tower in the town hall, and get a breathtaking 360º view of the town and the surrounding Germany countryside. It is so beautiful it almost doesn’t seem real. Time seems to stand still when you are here. For us it was one of our most memorable and romantic places in Germany. With the turquoise Adriatic Sea on one side and the fortified medieval old town on the other, Kotor, Montenegro has to be one of the most romantic destinations in Europe. Kotor is a town of 13,510 on the Bay of Kotor. The medieval old town is made of winding, stone streets, outdoor cafés, churches, boutiques, and even a strange, little cat museum. 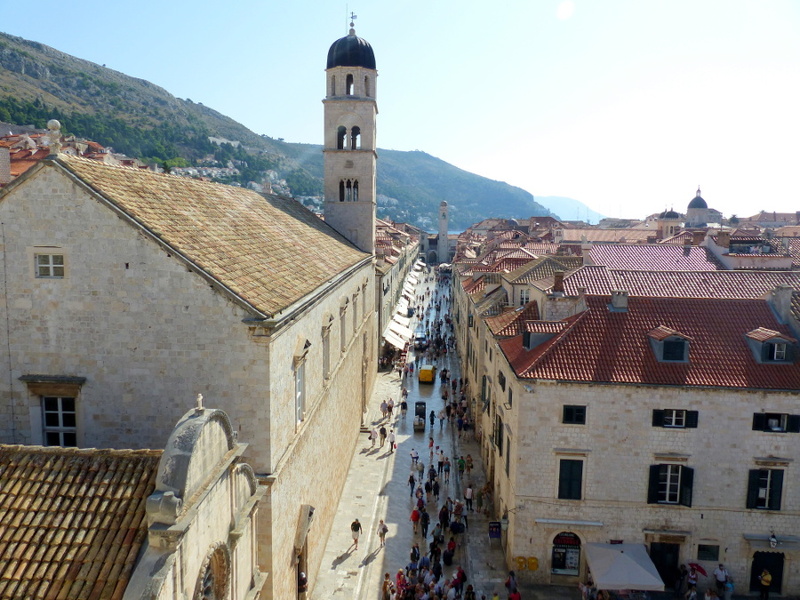 A couple could spend a day wandering the shops of Kotor and drinking under umbrellas in the plazas. From the town of Kotor it is a short, but steep walk to the fortress that rises above the bay in the limestone cliffs. The Fortress of St. John (also known as the Castle of San Giovanni or Tvrđava Sveti Ivan), sits about 250 meters (820 feet) above sea level. To get to the top, you must climb about 1,350 stairs. The view from the top is well worth the effort. 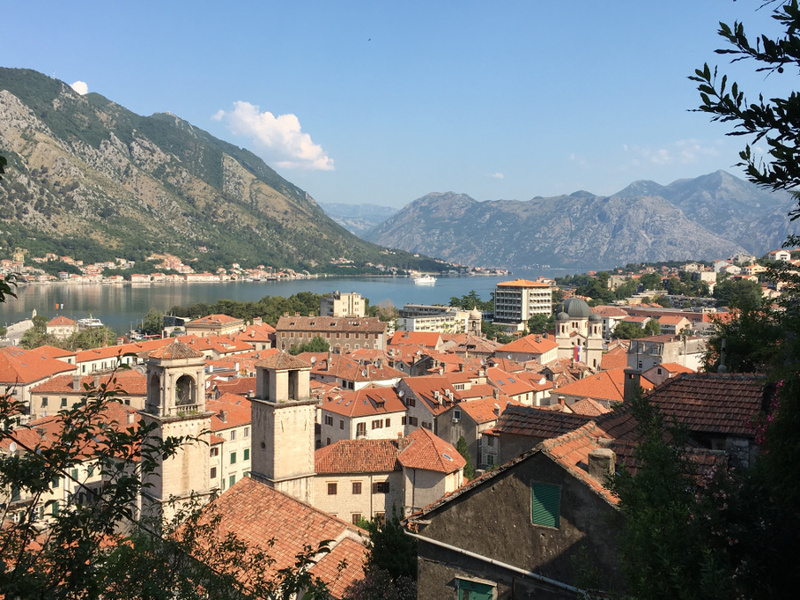 The Bay of Kotor, the surrounding mountains, and red roofs of the town make for a perfect place for a photo of you and your sweetie. For sporty couples, there are kayak and stand up paddle board tours to paddle around the bay, or into the Blue Hole just outside the bay. There is something very romantic about sharing a double kayak and exploring new places. Evenings in Kotor can be filled with fine dining or casual eating. Either way, sitting outside in the candlelight is a great way to end the day. 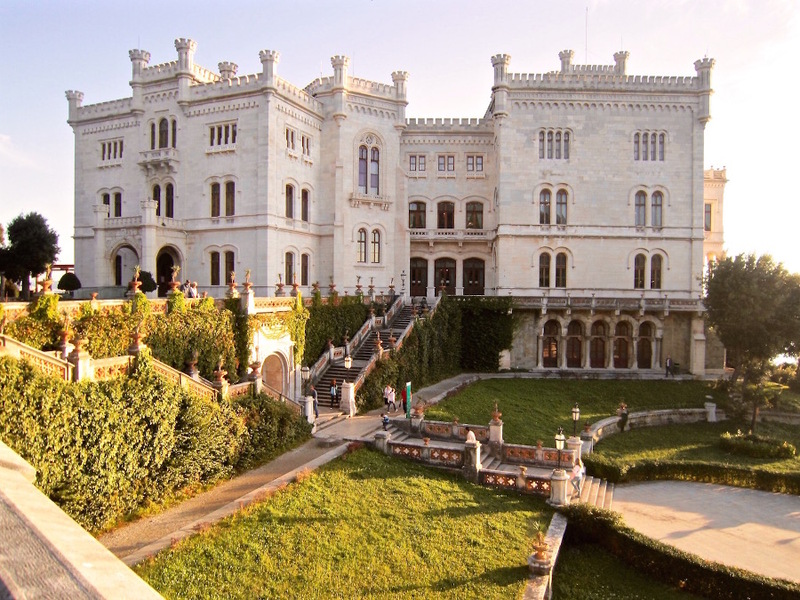 If Venice is considered to be a romantic destination in Italy, then Trieste is a must-see place, for all romanticists. With its scenic seaside promenades and a fairytale castle, Trieste has many beautiful corners both in the city centre and in its outskirts that will remind you of “La Serenissima”. From its canals close to the “Molo Audace”, a 200 meters concrete pier and the spectacular “Piazza d’Unità D’Italia”, the largest beachfront square in Europe. Just out of the city hearth there are a few more iconic romantic places that you must visit when you travel with your better half. Take the bus from the train station to Barcola. From this famous city beach stroll along the 6-km-promenade to the Miramare Castle, a top-notch place for wedding photographs and sunset suckers. Built by order of Ferdinand Maximilian of Hapsburg, they completed it in 1860. With a remarkable blend of Gothic, Medieval and Renaissance architecture it created a unique setting that merged the Mediterranean scenery and the cold European austerity. The surrounding park is a combination of a romantic English landscape garden with grassy areas, long paths, gazebos, as well as ponds and geometrically spaces with a coffee shop and flowerbeds. Trieste is only a 2-hour train ride East of Venice, really worth a visit if you like to discover the lesser known and beautiful towns in Northern Italy. Split, Croatia – de cautat poza pe email!!! 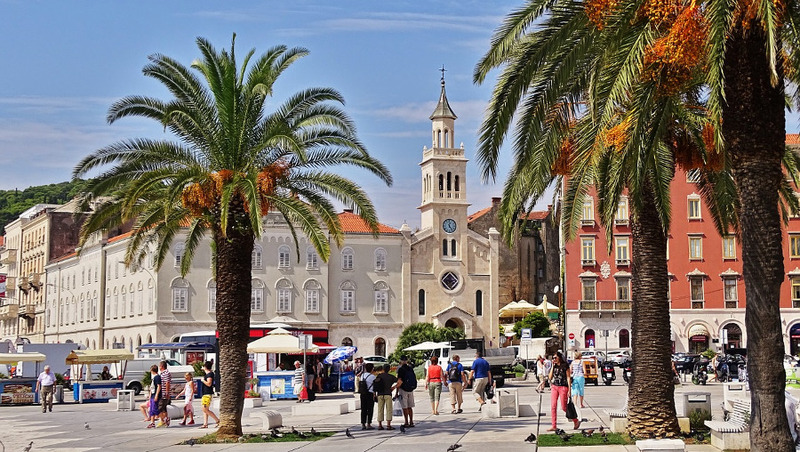 Split, Croatia is a romantic destination in Europe that shouldn’t be missed. Located in central Croatia, it is easy to reach from many destinations, and the ideal escape for a couples getaway. Many guests will enjoy staying in the Old Town, where around every corner is a picture perfect view of cobblestone streets and ancient buildings. There are plenty of local hotels that are meant for cozy, romantic getaways with views overlooking the UNESCO World Heritage Site, Diocletian’s Palace, or the main thoroughfare, People’s Square. Charming nooks can be found all over the city, perfect for sneaking a private romantic moment with your mate. Split is known for its culinary scene and there are more than a handful of restaurants that come to mind for the perfect date night, including Villa Spilla and Pizzeria Portas. Better yet, head to the waterfront and the Riva, for a beautiful view of the harbor and a romantic dinner. If shopping is your thing, there’s plenty to explore in Split from the local markets to upscale shopping boutiques. There’s also hiking and beaches for those who prefer more of an outdoor romantic getaway. No matter your preference, Split will tick all the boxes for a romantic getaway. There are many romantic destinations in the world, but there is one that is so impressive, that you simply can’t miss. It is Prague. Prague is situated in the heart of Europe, it is a capital City of a small country called Czech Republic. 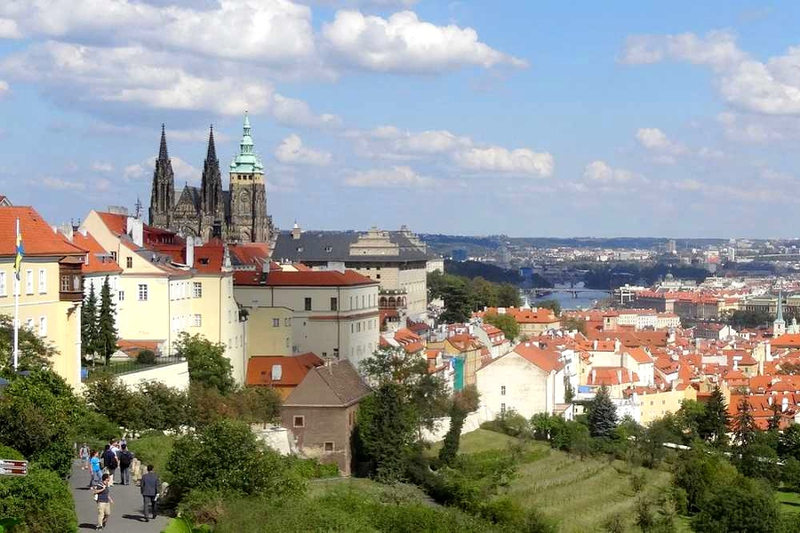 The history of the city goes back to the 9th century when the famous Prague Castle was founded. Prague romantic atmosphere, breath-taking views, the world largest castle Hradčany and the boat trips on Vltava River attracted many travelers in recent years and for a good reason. It is one of the most beautiful Cities in the world. This riverside City is so enchanting and culturally rich, that you’ll feel like you are in a fairytale. You can visit the medieval Prague castle Hradčany, which is listed in Guinness Book of World Records as the largest ancient castle in the world. I especially like to walk in tiny streets of Prague castle, to admire monumental St. Vitus Cathedral, enjoy the stunning views from the hill to Prague City and take rest in nearby gardens. If you want to spend a romantic time in Prague, I can highly recommend a night Vltava river cruise with a festive dinner, a walk to Petřín lookout tower or just to sit at a riverside cafe. But before you start to admire the City of 100 spires, read some practical information about Prague here. 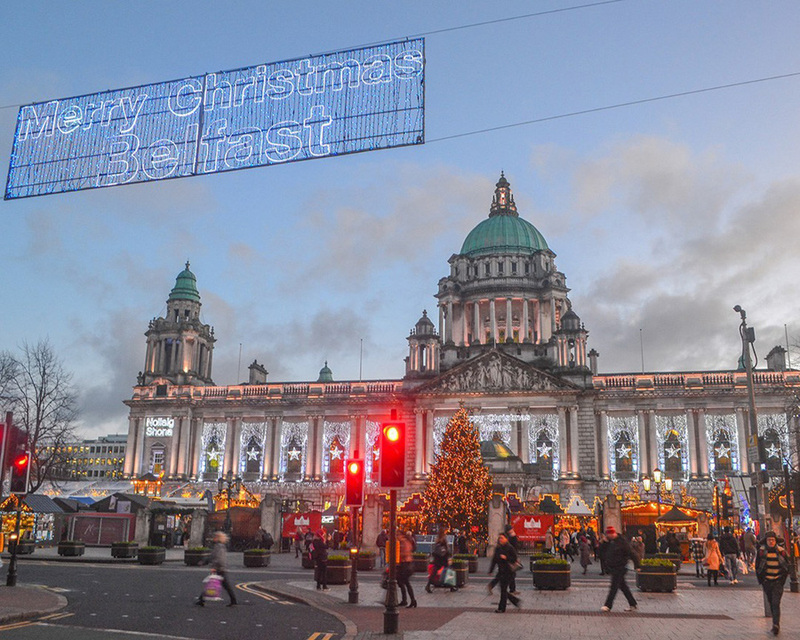 While Belfast doesn’t quite fit the romantic clichés of continental Europe, there really is a loveable kind of rapscallion charm in the small capital city of Northern Ireland, making it one of the less likely cities of Europe for romance. Where Northern Ireland shares all the same scenery, and just pure heart when it comes to living life, as found in all those Irish rom-coms, such as ‘PS I Love You’ and ‘Leap Year’. At the same time, it does have a rather serene side to the city, with walks along the Lagan riverside for example, and the rejuvenated side to the capital. Which makes for the perfect stroll en route to the cobbled streets of Belfast’s old Cathedral Quarter, for a night of drinks in a cosy ‘snug’ (private compartment), in the many traditional bars of the area. Here ‘The Duke of York’ makes a good start, before a walk back past the central city architecture around City Hall, to reach the old ‘Crown Liquor Saloon’. As it’s just a rather quaint and loveable city to potter around. It is also the perfect base for day-trips on the island, and a short drive finds rugged Irish coastlines, not to forget the iconic Giant’s Causeway, before a retreat back to the warmth of the city. Nice is a beautiful, cosmopolitan city on the French Riviera in the south of France. The stunning Belle Epoque architecture, pastel-coloured buildings and intricately woven ironwork make it a dreamy place to wander around. With the ever present azure blue sea, colourful markets and chic bars and restaurants, it’s the perfect place for a romantic break. One of the most lovely areas for couples to spend time is the Vieille Ville, the city’s old town. Here you’ll find a maze of meandering old lanes, sandwiched between the stunning Promenade du Paillon park and the sea. The orangey-yellow buildings are tall and beautiful, the alleys are narrow and full of shops, restaurants and bars. It’s easy to get lost, but you’ll enjoy it! If you’re in Nice during the weekend, you should definitely stroll down the Promenade des Anglais. It’s probably Nice’s most famous street and the wide pedestrianised walkway beside the sea is a joy. On a sunny Sunday, it’s particularly fun as you’ll be mixing with locals and tourists, couples and families. You’ll probably come across Jazz musicians playing beautiful melodies that mingle with the waves of the Mediterranean lapping the shore. 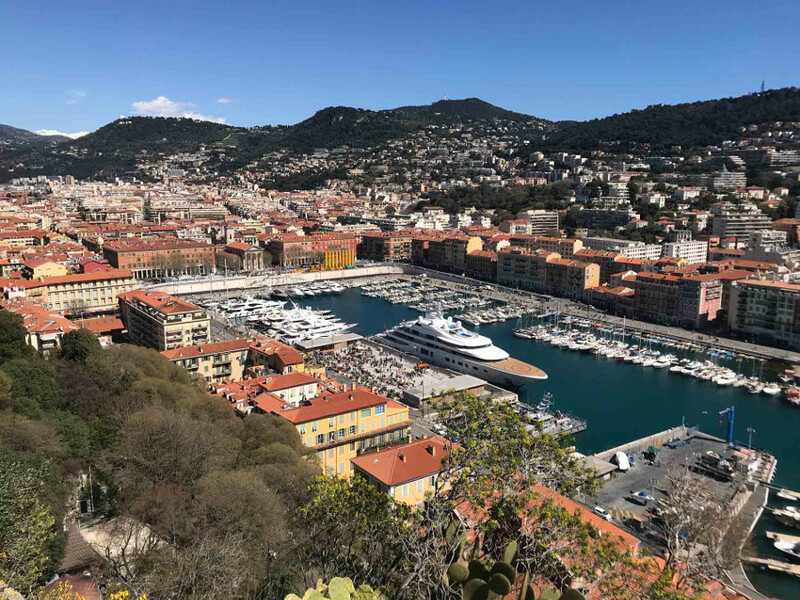 And finally, it’s good to know that Nice has the second largest hotel capacity in the country, ranging from small boutique hotels in the bustling old town to five star comfort in one of the historic Art Deco hotels that line the seafront. There’s certainly no shortage of romantic hotels to pick from. Nice is a superb place for a romantic break. I highly recommend it! 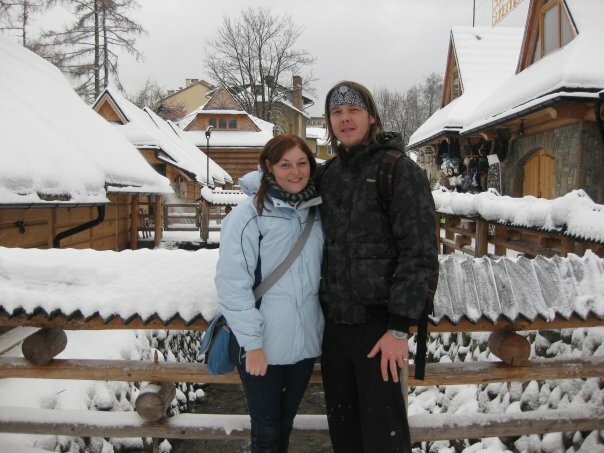 One of our favourite romantic European destinations we have visited as a couple, well before kids joined our travelling tribe was Zakopane in Poland. Zakopane looks like a storybook village with beautiful traditional wooden houses and pointed roofs. The second you arrive you feel like you have stepped into another world. Zakopane is a popular winter destination, with many people visiting each year for skiing, snowboarding and other winter sports, however this is a perfect time to visit as a couple even if you aren’t so keen on adventure sports. Together you can enjoy the beautiful snow capped scenery of the Polish Tatra Mountains that surround Zakopane and feast on hearty Polish food at one of the many street stalls or restaurants. During winter and summer, the town is alive with lots of entertainment, as this is when the tourists typically visit, however Zakopane is beautiful all year round, with plenty to see and do. One of our favourite experiences is riding the funicular up Mount Gubałówka where you can enjoy the best views in town, some of the most delicious local eats and a chance to find local souvenirs at the markets. We also recommend riding the cable car up Kasprowy Wierch, which is one of the highest accessible Tatra mountains, bordering Poland and Slovakia. Although the wait times can be long in peak season. There are plenty of other great day trips you can experience from Zakopane, or simply enjoy exploring this quaint town together. Atrani – Amalfi Coast – Untold Morsels. 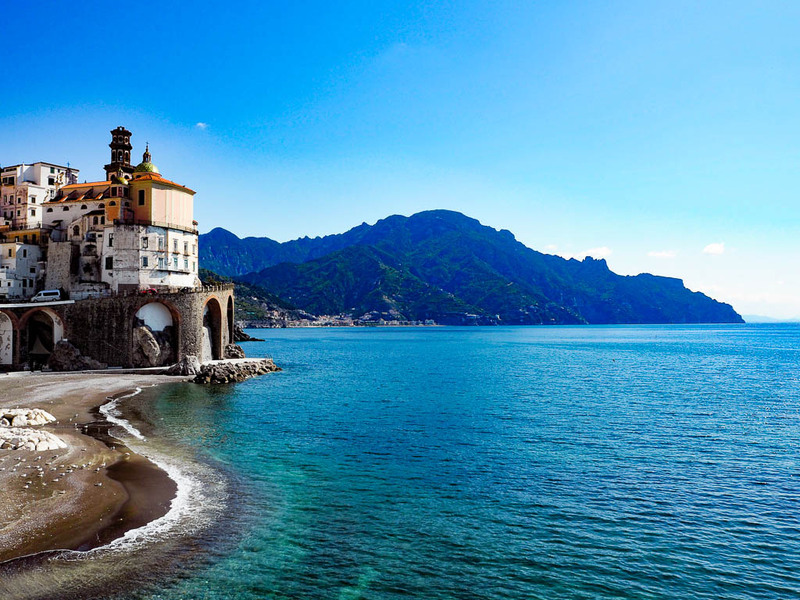 One of Europe’s favourite honeymoon destinations, Italy’s Amalfi Coast has been inspiring romantics for centuries. This idyllic stretch of coastline south of Naples is the stuff dreams are made of. Pastel coloured towns surrounded by lemon and olive groves seem to tumble down hillsides towards the turquoise Tyrrhenian Sea. Waves crash against pebbled beaches where wooden fishing boats bob up and down in hazy sunlight. And you can see the magical island of Capri shimmering in the distance. It is impossible not to fall in love with the Amalfi Coast, the question is, which town will capture your heart? Glamorous Positano is a perennial favourite thanks to its incredible views and romantic cobbled streets. In Ravello you can wander along the hill top and admire the picturesque coastline from the Terrace of Infinity at Villa Cimbrone. But, for me, there is nothing more romantic than taking a stroll along the coastal path from Amalfi to Atrani. There you will find catch of the day fresh seafood on the menu and a view to captivate you and your loved one for hours. Just add a glass of wine, enjoy the scene and plan your return to this picturesque part of the world. Russia might not spring to your mind when thinking of romantic getaways in Europe, however, the second biggest city, Saint Petersburg, is actually a very romantic destination. St Petersburg used to be a capital of Russian Empire for more than 200 years and it used to be one of the most important European capitals in the 19th century – along with Paris, London and Vienna. St. Petersburg might have lost the status of the capital, however, it didn’t lose its stunning imperial palaces and amazing parks built by the world’s best architects of that time, beautiful cathedrals and impressive museums. 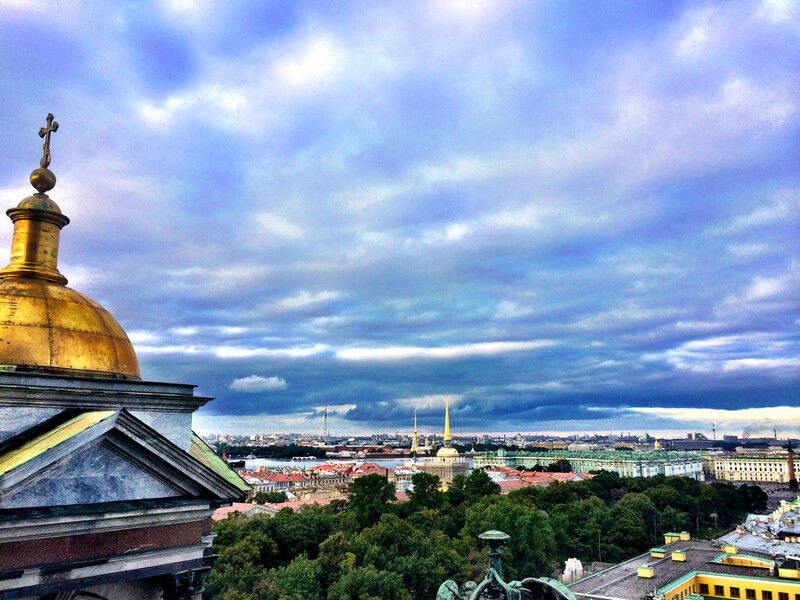 St. Petersburg is also often referred to as the Venice of the North because of the fact that the city is built on 33 islands and they are connected by bridges. One of the most romantic things you can do in Saint Petersburg is to take a canal & riverboat tour and then watch the main bridges over the Neva open at night during the White nights when it never gets dark. Saint Petersburg definitely doesn’t have the best climate in the world and it often rains in the city, however, even with grey sky and rain, it looks incredibly romantic and welcoming for a walk in the city centre. Krakow in Poland is one of those cities that you visit and fall in love with and one of the most romantic cities in Poland. It is just right in many aspects. With almost 770.000 inhabitants it is a sizeable place, but small enough to walk around the historic centre and see most of what you want to see over a long weekend. It is, on one hand, a city steeped in history and on the other hand, it is surprisingly modern with plenty of green. Attractive flower stalls give colour to the city. Everywhere you go there are street musicians. Music spills on the streets from cosy cafés. The omnipresent students give the city a young vibe. Krakow has countless restaurants with ethnic themes, fast food, casual places as well as those with fine dining and of course, there are plenty of restaurants that specialize in local cuisine. Furthermore, Krakow is full of interesting attractions like Wawel castle, historic churches, the medieval market, synagogues and museums. To explore the city take a ride in one of those horse-drawn carriages that line the market square. White horses, crowned with a red plume of feathers, antique white painted carriages and the coachmen dressed in a stylish uniform are quite a spectacular sight. And it is probably the most romantic way to see the city. Gregory of Nin statue – Chasing the Donkey – Travel Blog. The European Best Destinations website presented Nin, a small little town a stone’s throw from Zadar, Croatia, the title “The Most Romantic Destination” a few years ago. Nin is located in the middle of a shallow lagoon, an islet shaped like a heart – naaaaw, oh-so-romantic already! 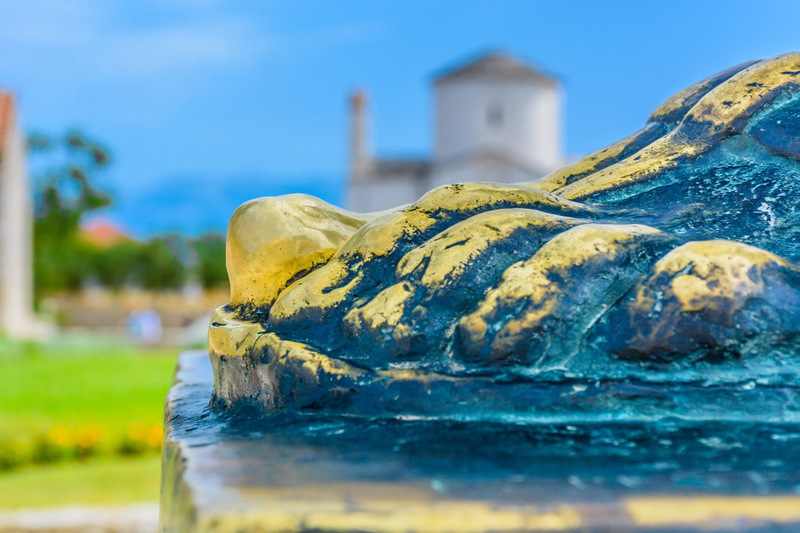 This charming cobblestone pathed ancient town offers breathtaking views of Velebit Mountain, has Roman Temple ruins, and also has one of Croatia’s best sandy beaches meaning you can enjoy Nin, all and into the evening. Each August the Nin Tourist Board puts on the ‘Nin Romantic Night,’ a night of pure romance, with kissing points, balloons, hearts, and restaurants offering specials for couples. Even if you don’t come to the romantic evening in August, Nin and its surroundings offers you plenty to do as a couple. The area is perfect for casual or serious bike riding, and other active holiday options like windsurfing. Unlike other coastal cities in Croatia, Nin is open, all-year-round, with several cafes and restaurants serving traditional meals in a low-key, relaxed setting. Before you leave Nin, don’t forget to rub the toe of the Gregory of Nin statue – and make a wish! Europe is rife with charming destinations that are picturesque and romantic, but no place has enamored us more than Rovinj, Croatia. A quaint town on the Istrian Peninsula (part of northern Croatia that is less famous than the Dalmatian coastline), Rovinj sits appealingly along the Adriatic Sea. With a long history as both a fishing port and seaside escape, there are numerous holiday apartments, restaurants and cafes – as well as local residents and a sense of community. The historic old town is a jumble of twisting, pedestrian-only lanes that lead up to the hilltop church or down to the pale blue water. In the narrow space between the pastel-painted buildings, laundry hangs above the cobblestone walkways. Tables and chairs at cafes spill into the streets; no one wants to sip their coffee inside. Climbing the rickety steps of the church bell tower is rewarded with panoramic views – from the mountains to the vineyards to the islands that dot the sea. The rocky coastline is ideal for sunbathing and taking a dip in the sea during the day – and the perfect spot for watching the sunset in the evening when the last light of day casts a warm glow on the town. 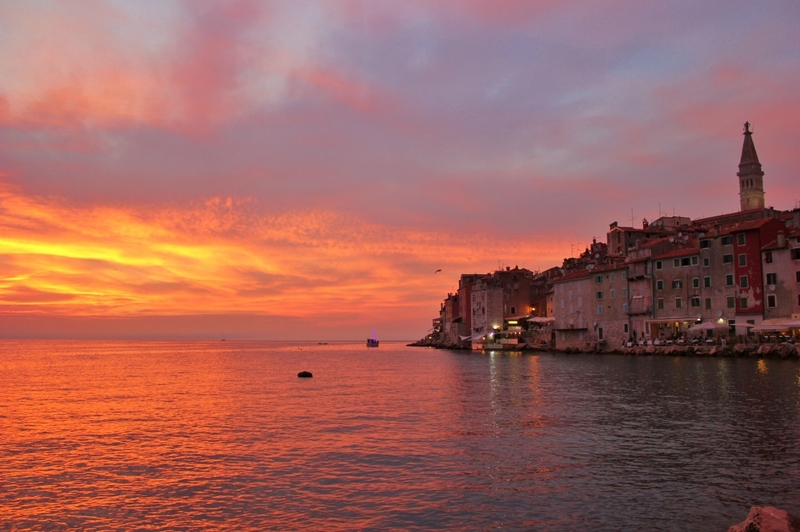 Rovinj is definitely one of the romantic escapes in Europe that you don’t want to miss. Dubrovnik is one of the most beautifully breathtaking places I have visited, and it’s beauty means it’s ideal for a romantic getaway for couples in Europe. The best way to fully appreciate Dubrovnik is to see it from all angles. The first thing I recommend couples do is to take in the views from the top of Mt Srd. There is a cablecar which takes you there and it only takes 4 minutes. You’ll see how impressive this city really is. Another way to see how truly impressive the old town of Dubrovnik is is to walk along the city walls which once offered the city protection. It’s about 2km long and complete with towers and fortresses which give it medieval character and charm. The streets feel even more romantic in evening so I definitely recommend staying overnight, as well as the fact that cruise ships leave after this time (and there are large crowds when they are in). The evening is the best time to walk the Placa, to eat at one of the many restaurants and to explore alleyways. I also recommend a visit to Banje Beach, a popular beach located close to the old town, a great place to spend the day together. I hope that this list of ideas for romantic holidays for couples in Europe gives you many trip ideas!